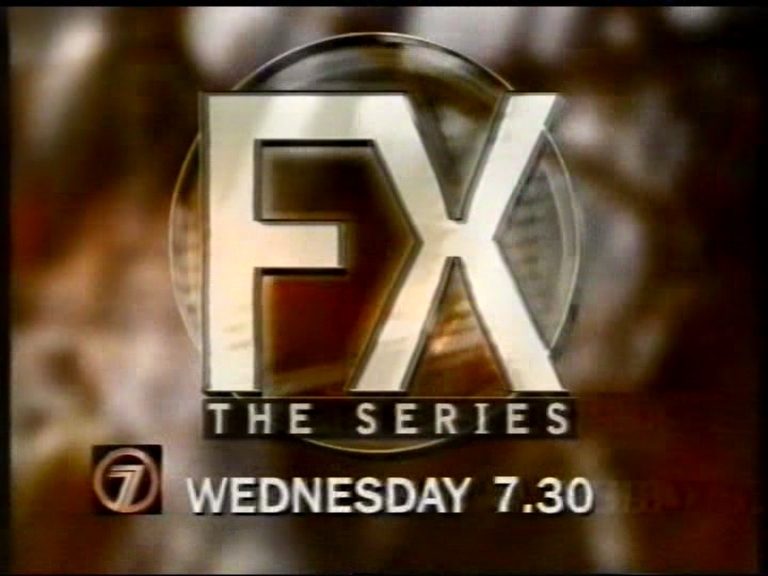 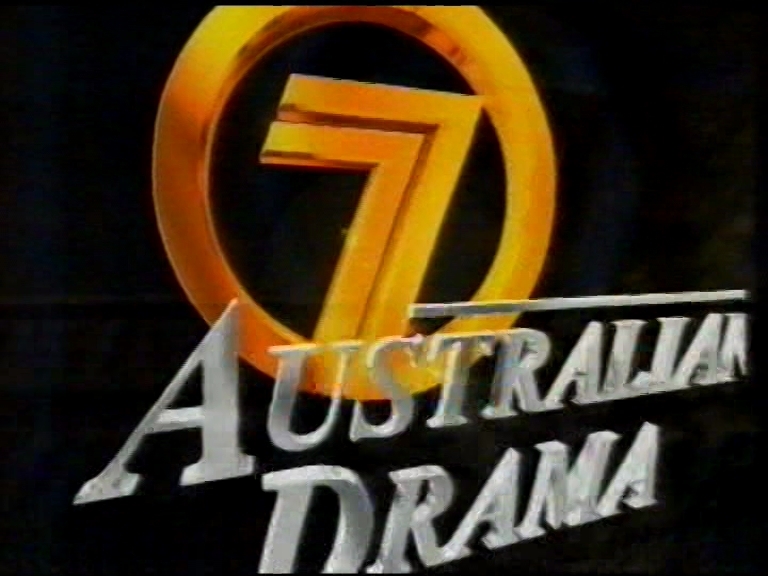 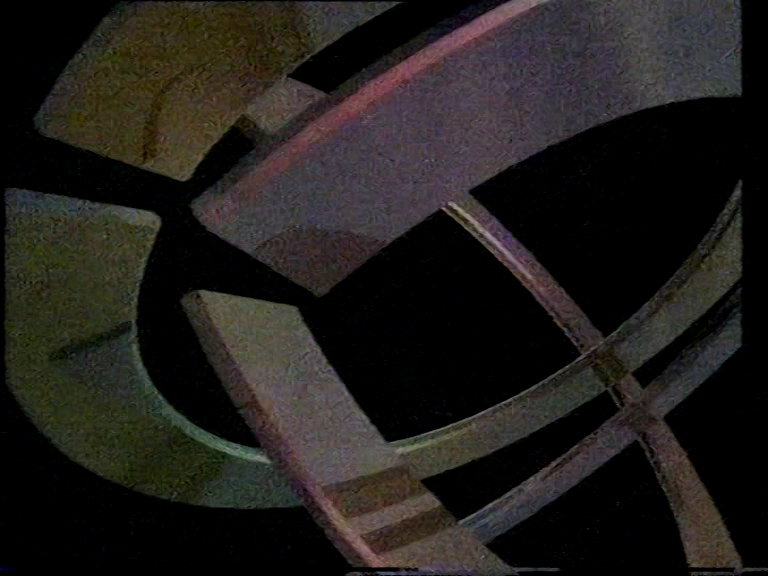 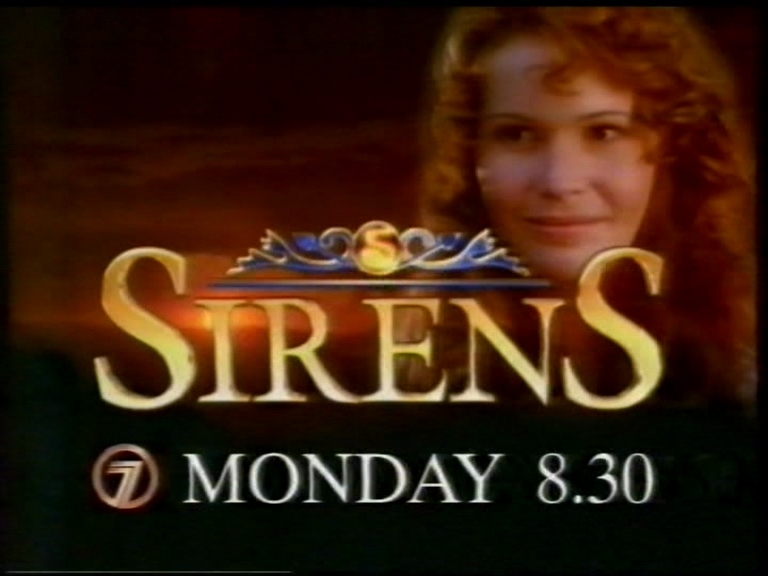 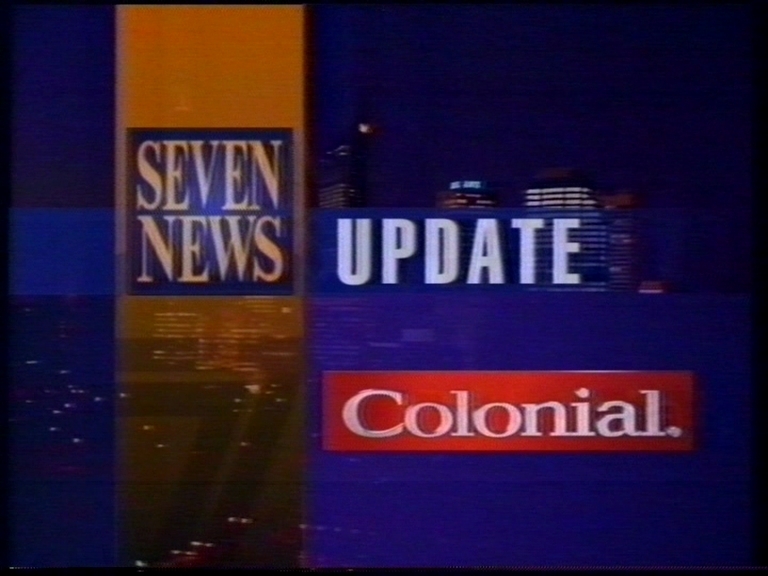 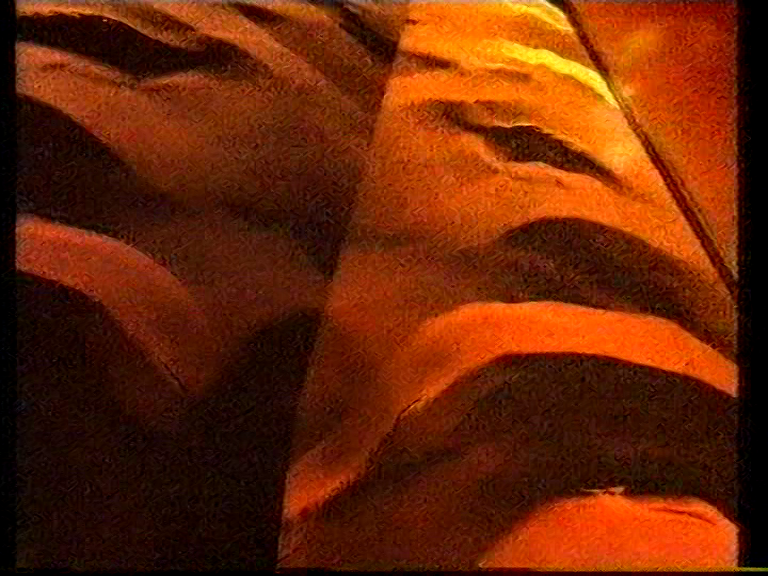 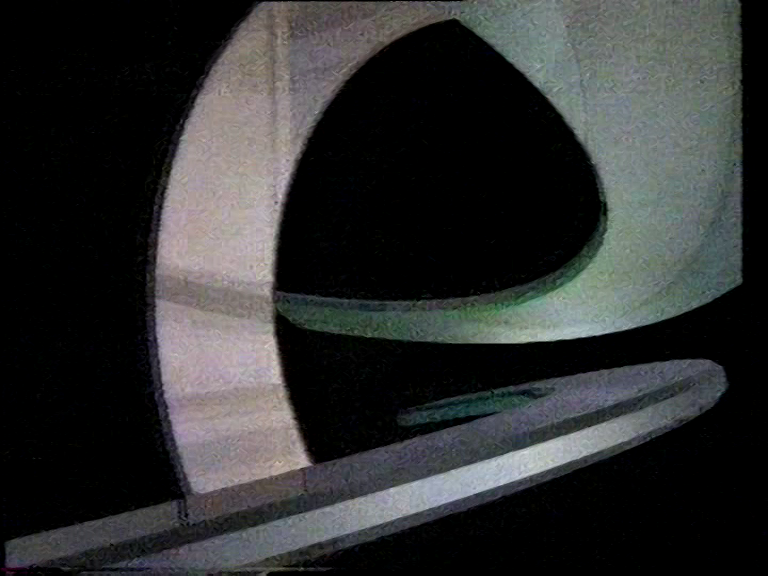 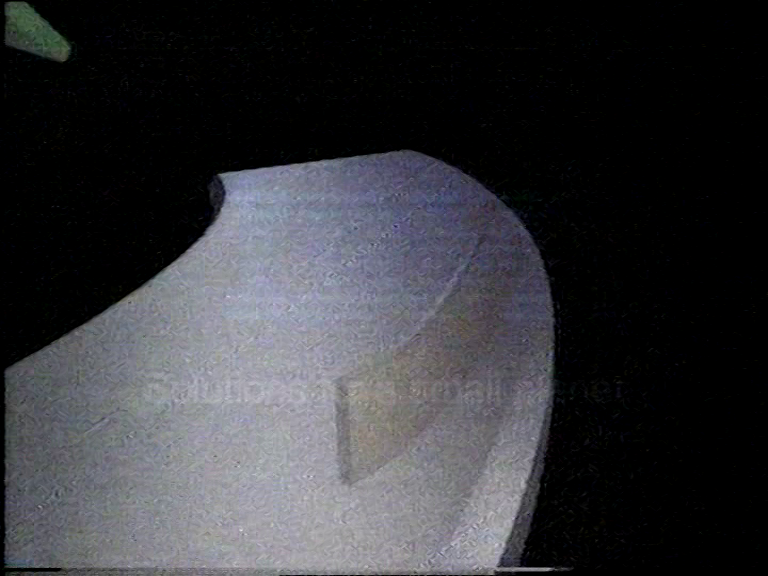 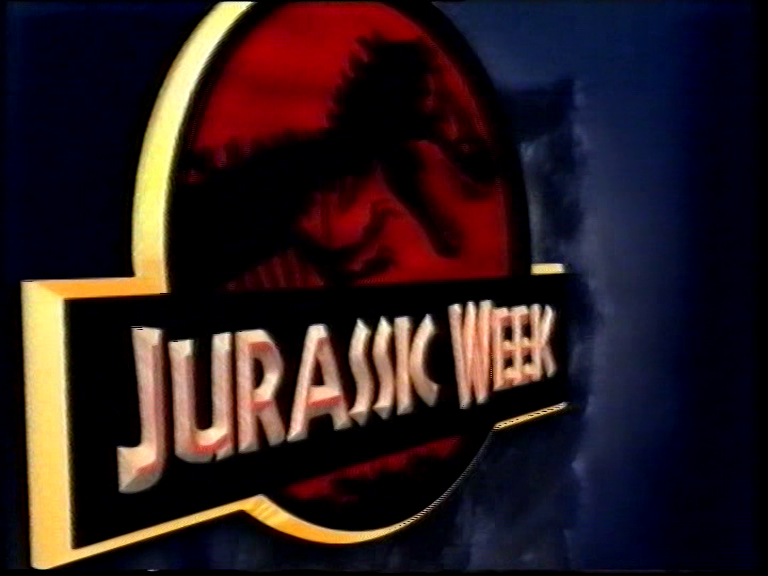 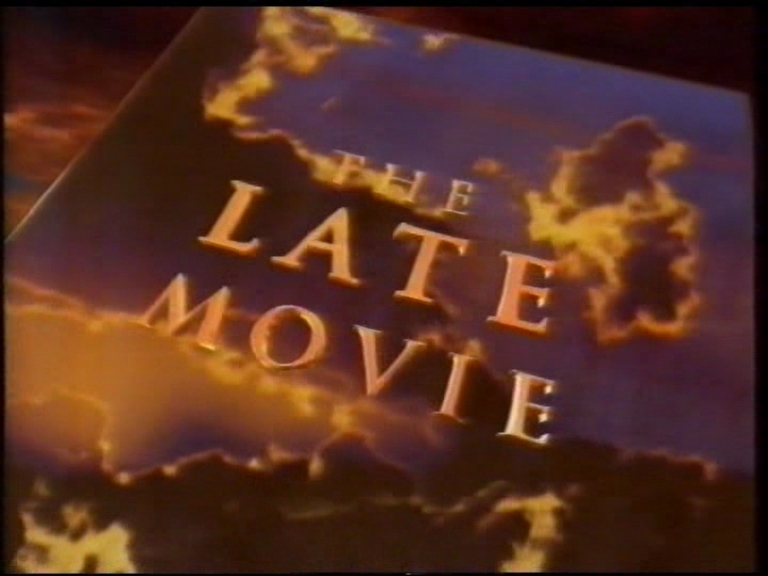 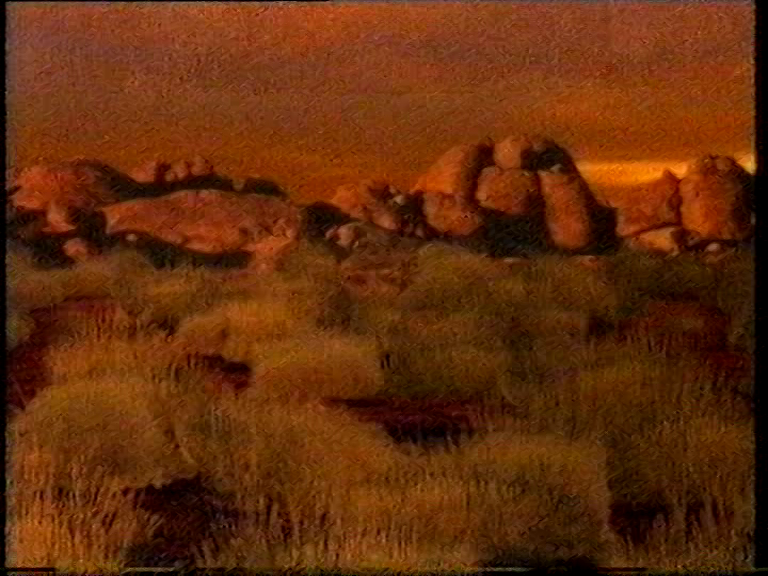 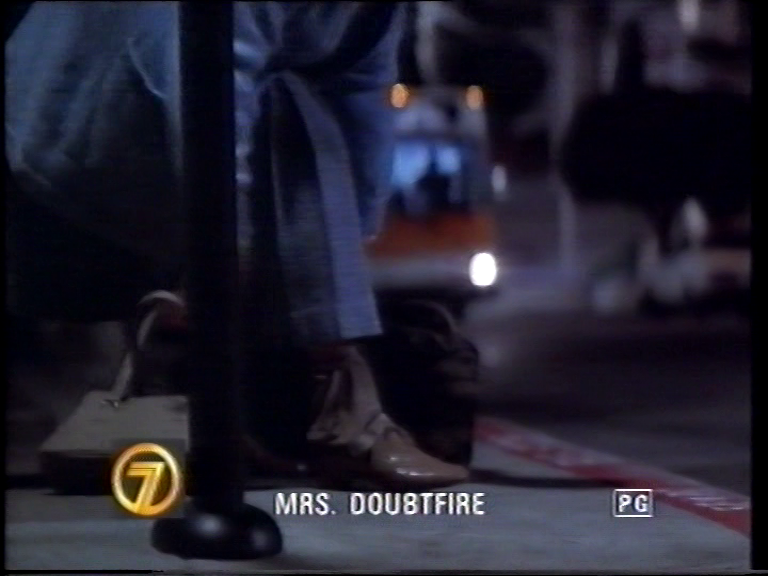 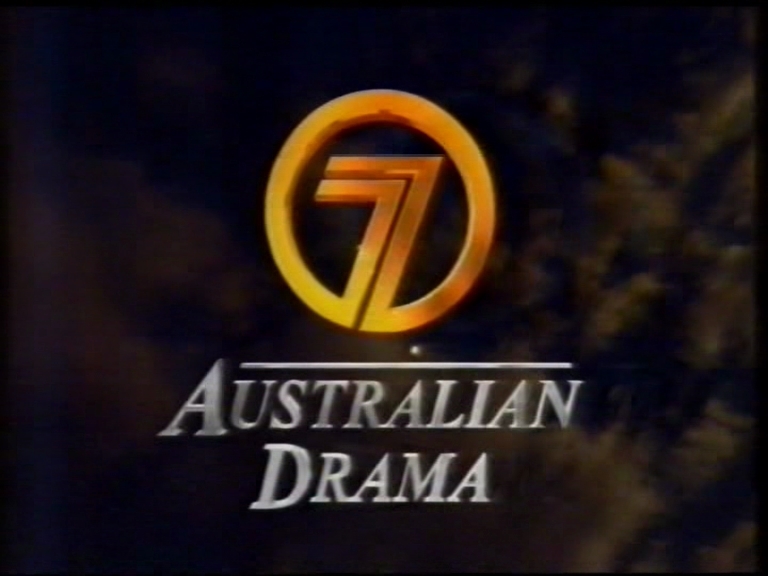 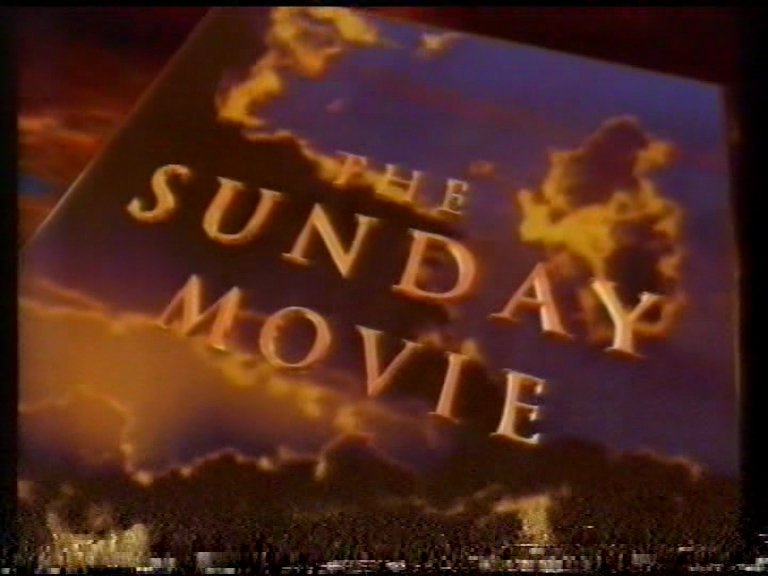 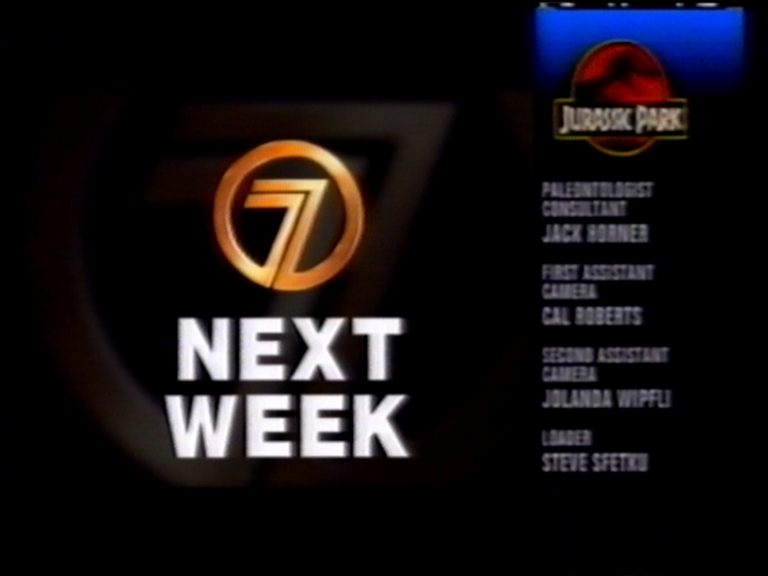 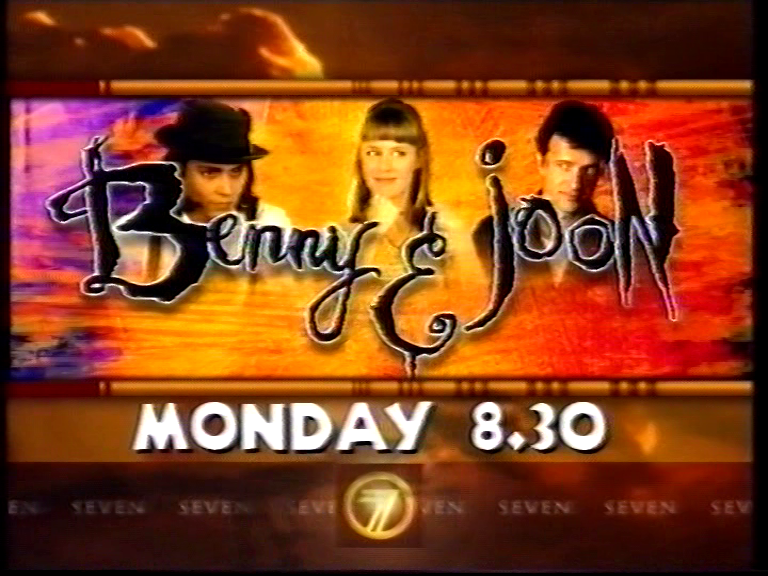 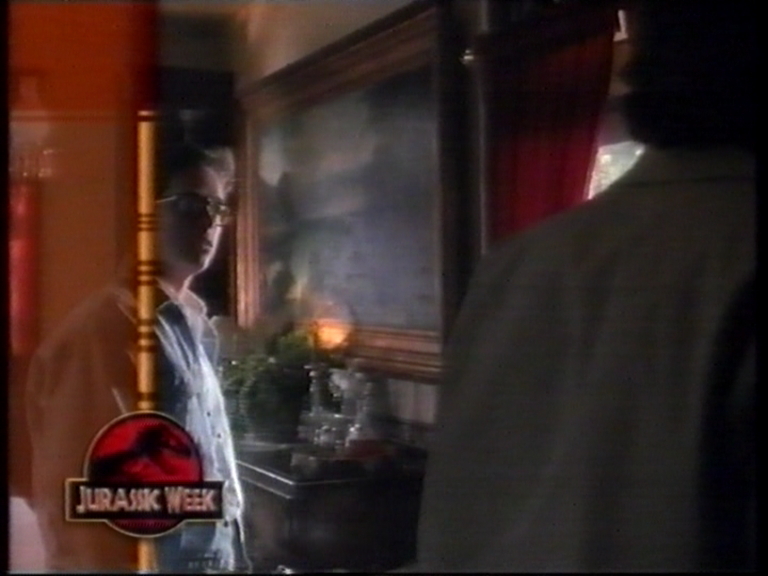 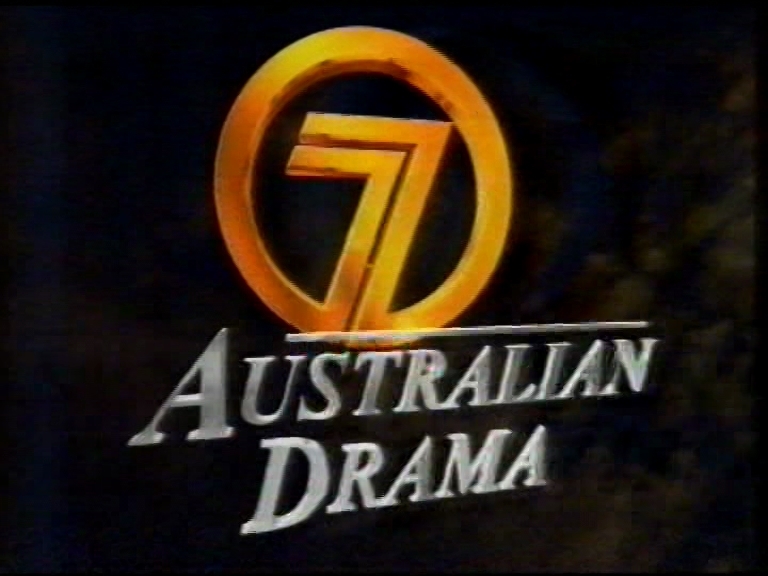 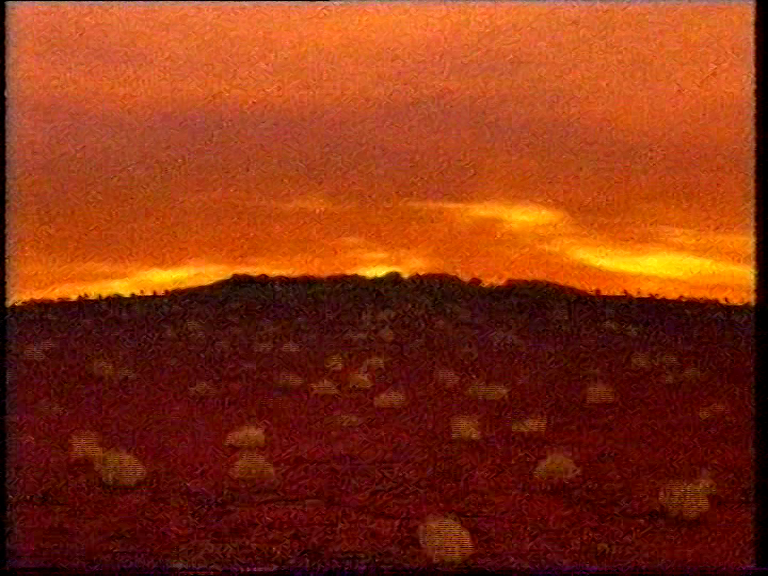 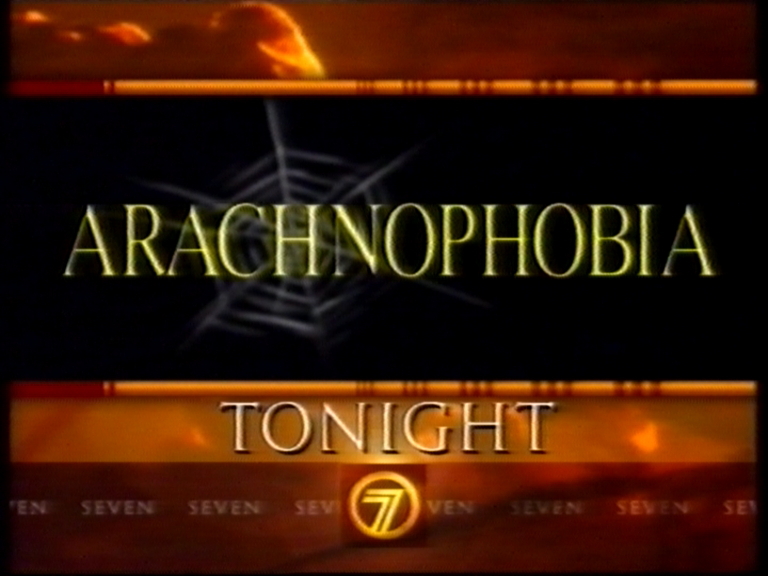 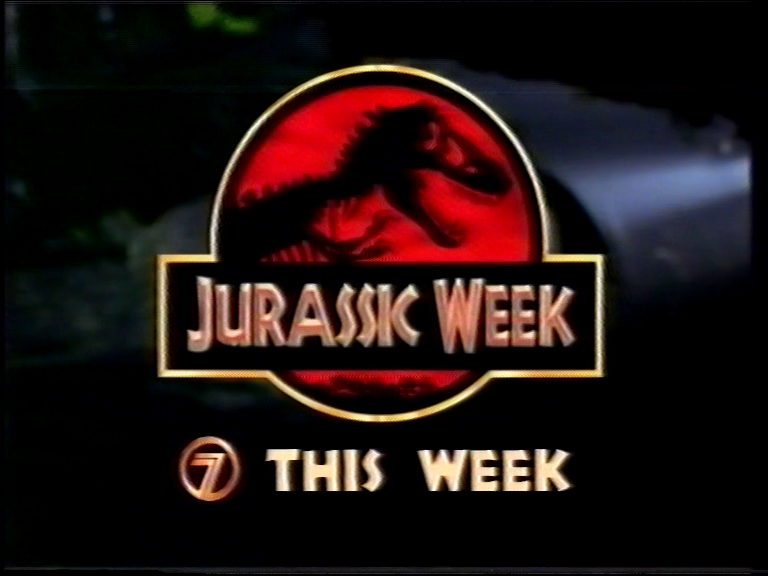 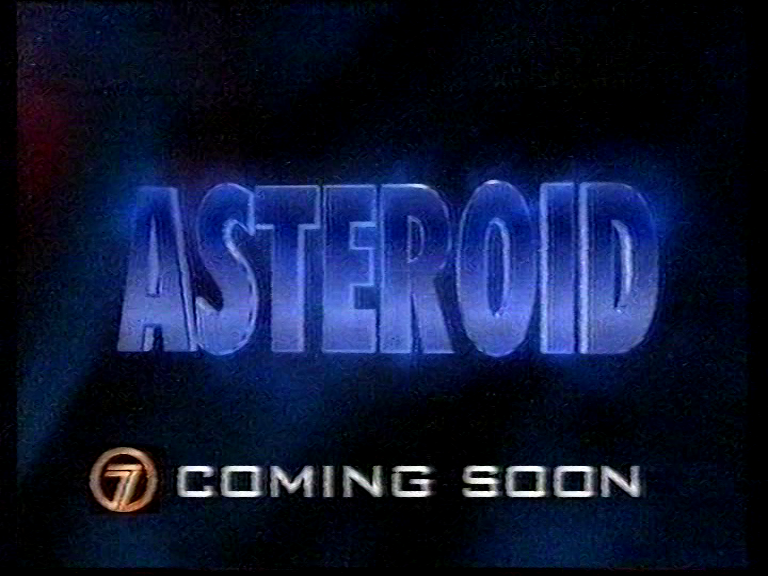 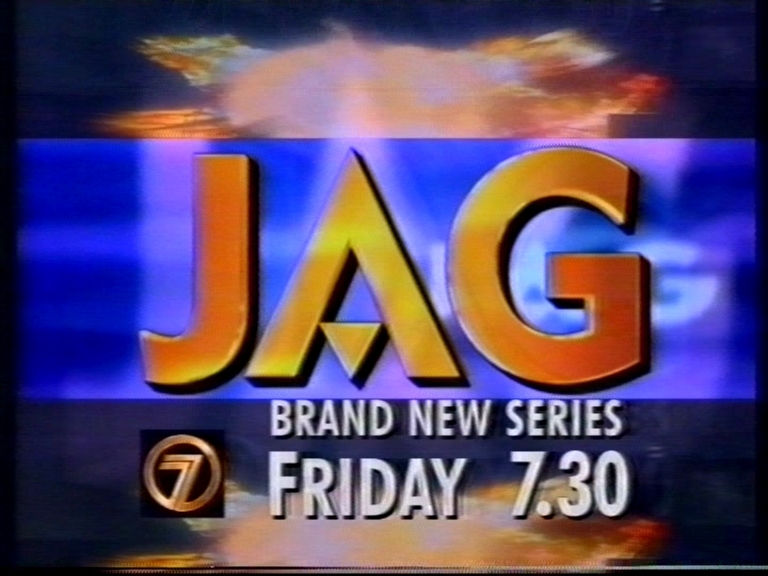 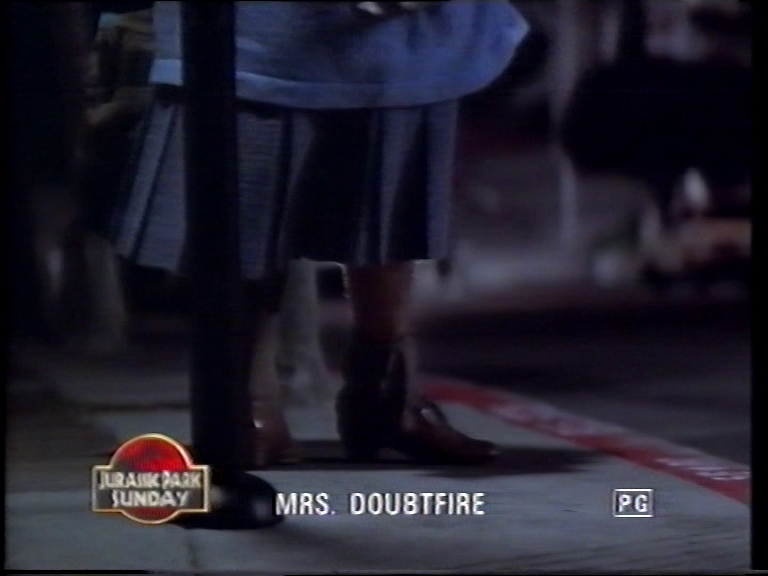 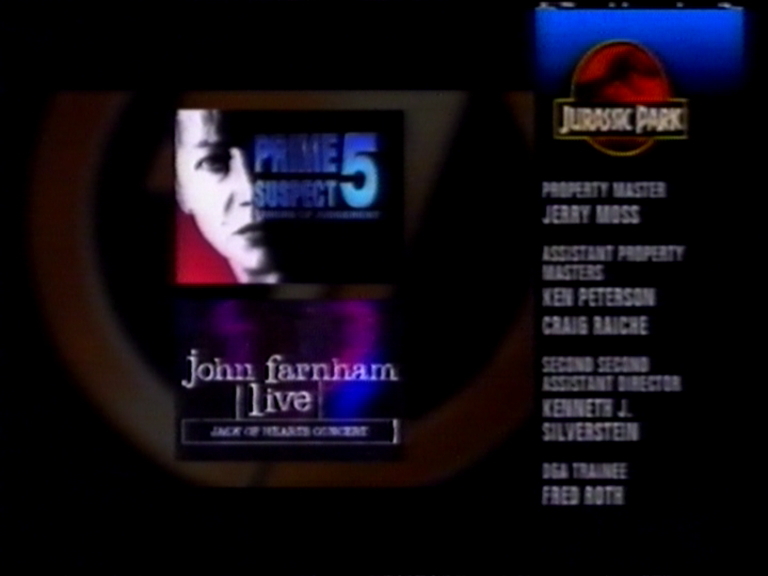 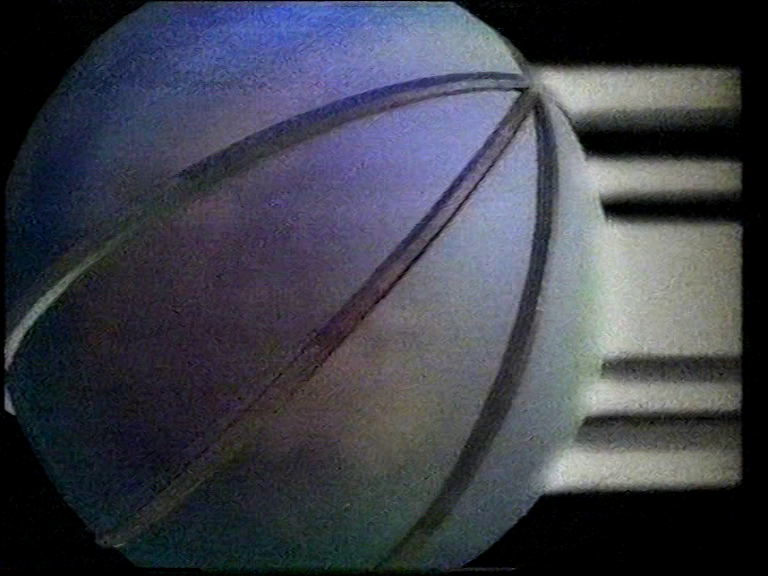 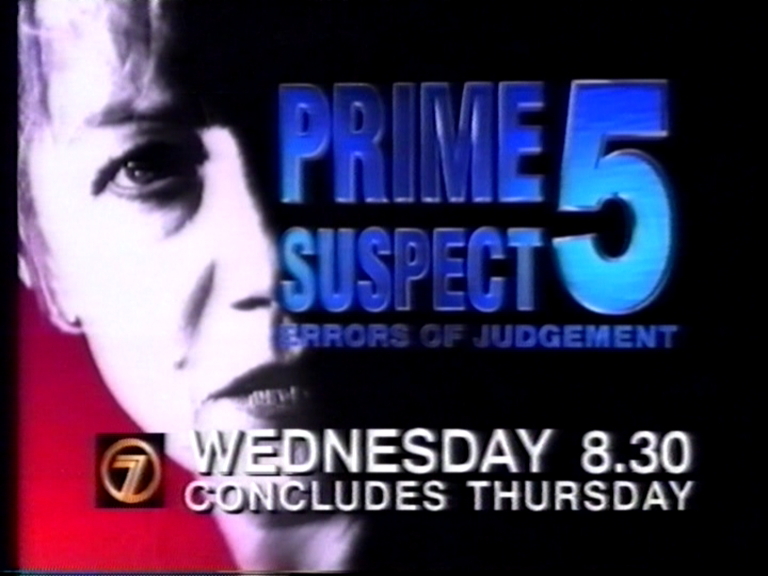 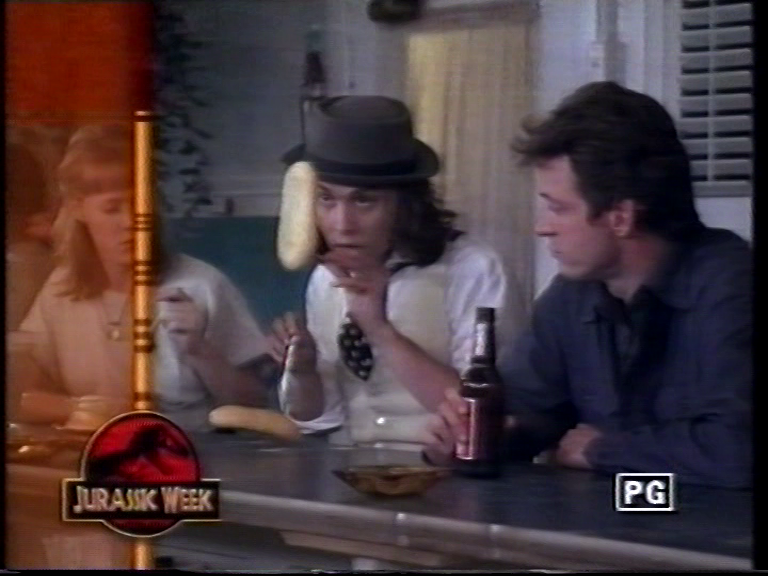 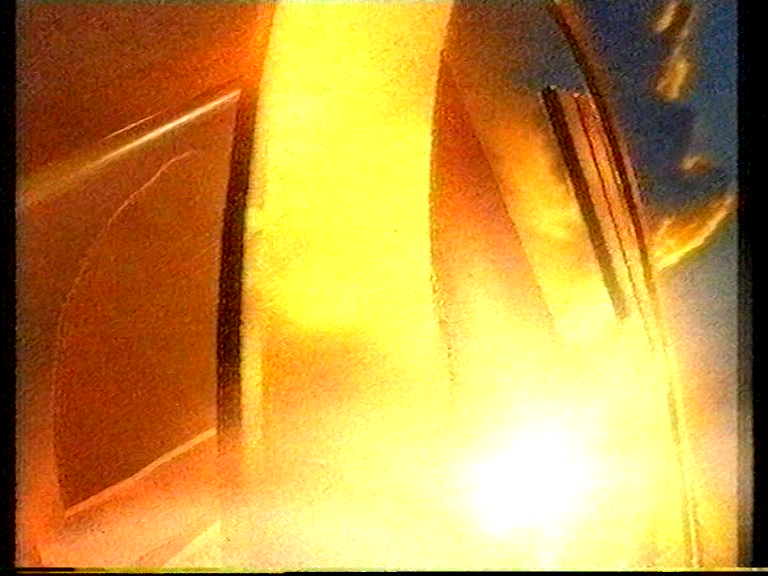 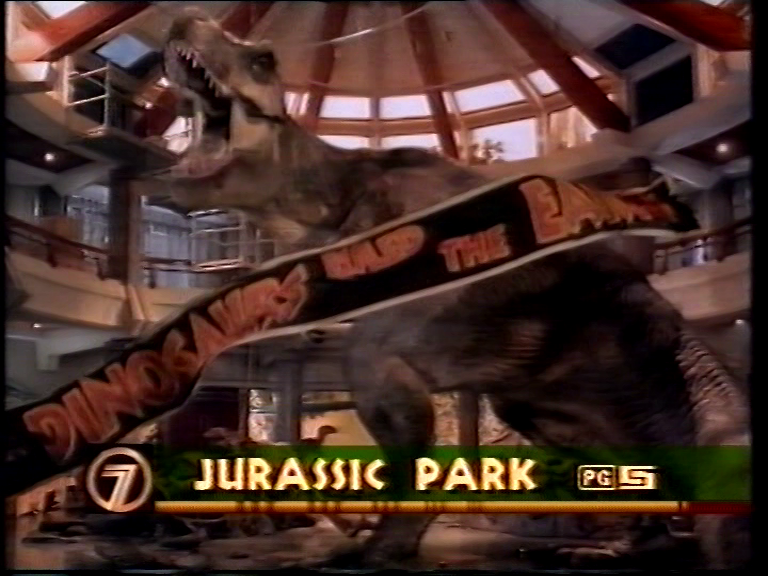 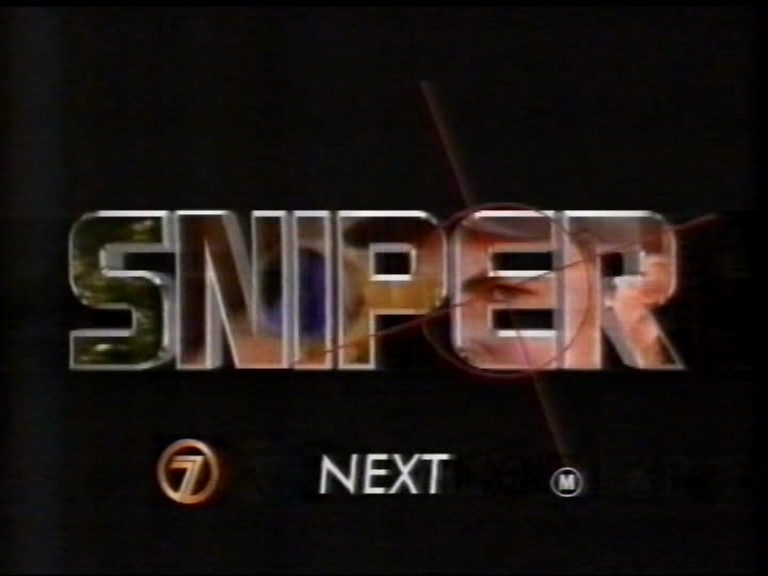 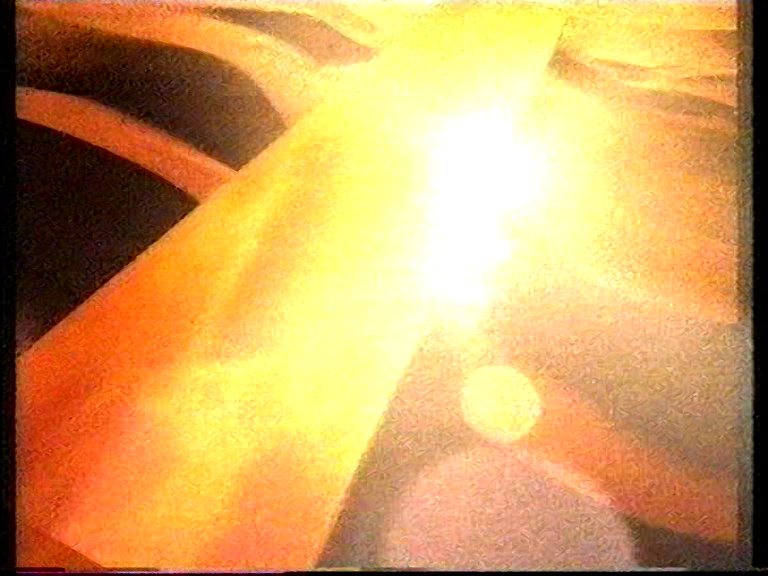 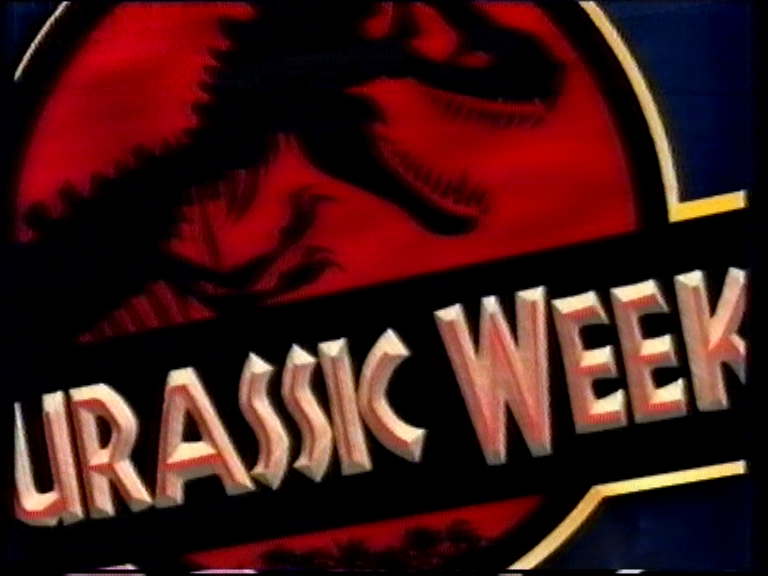 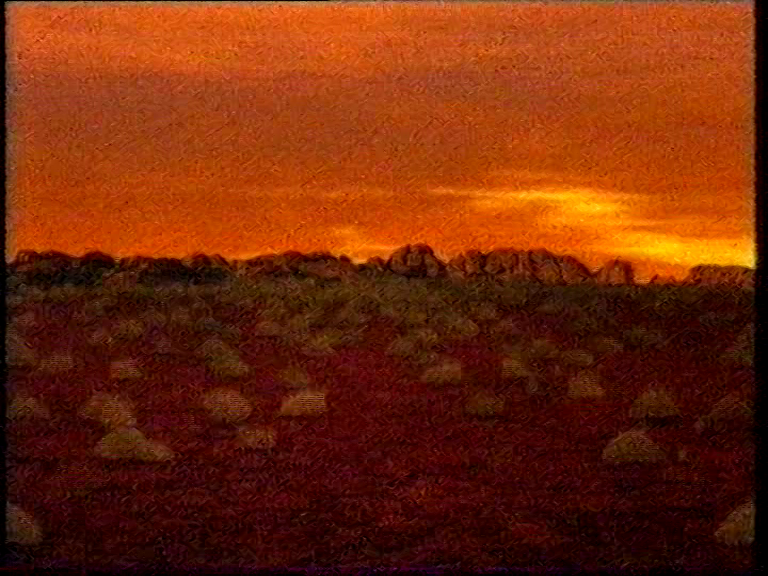 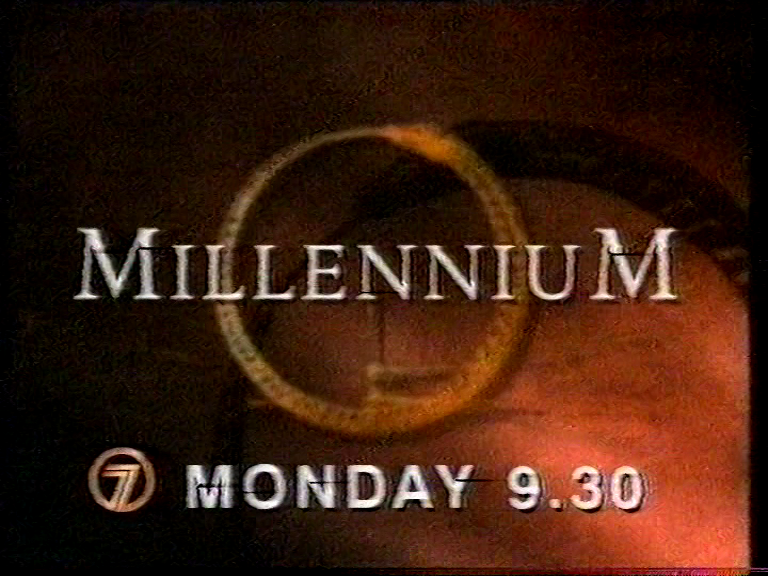 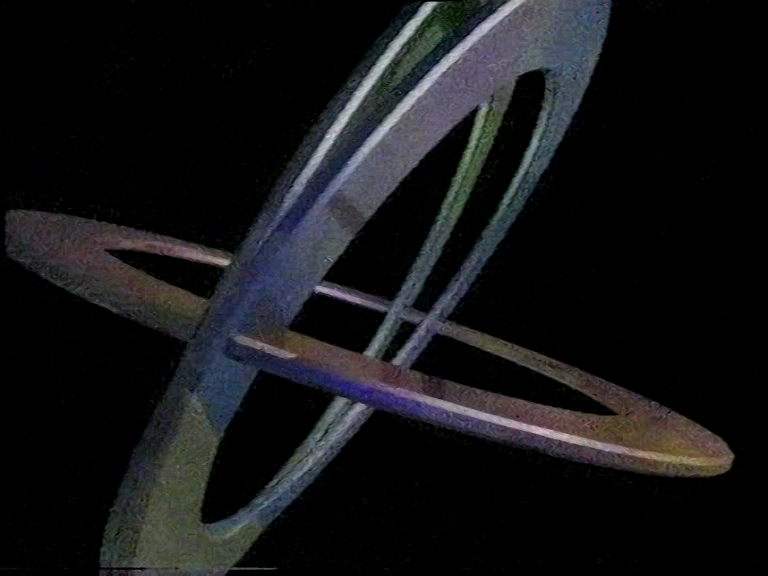 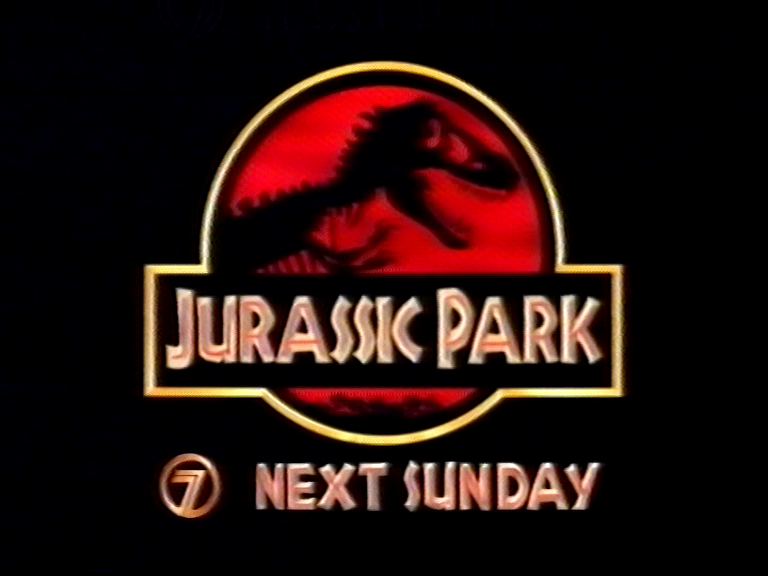 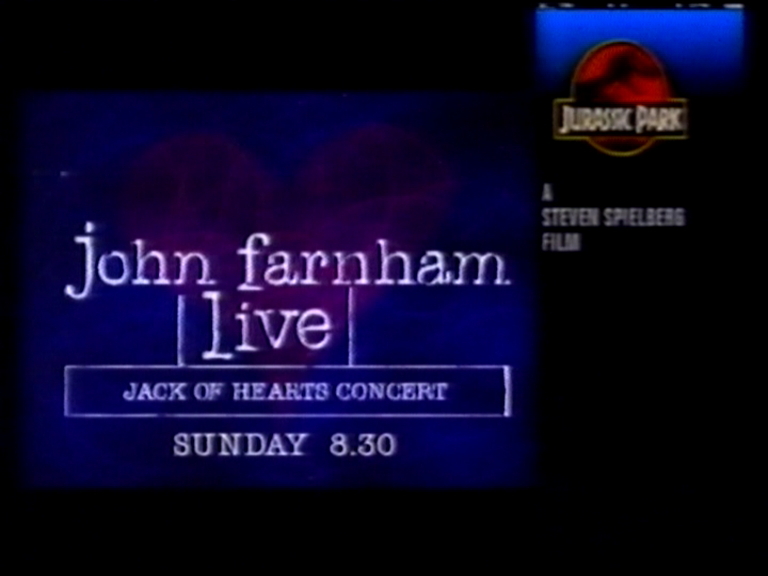 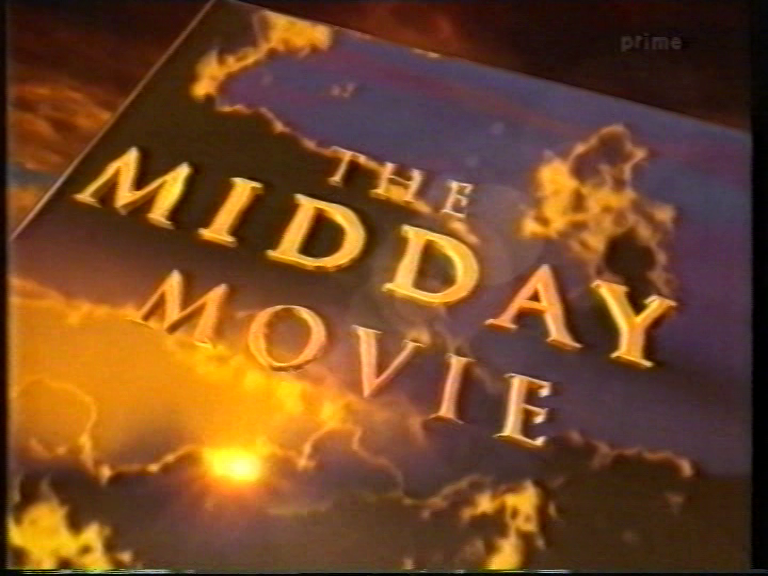 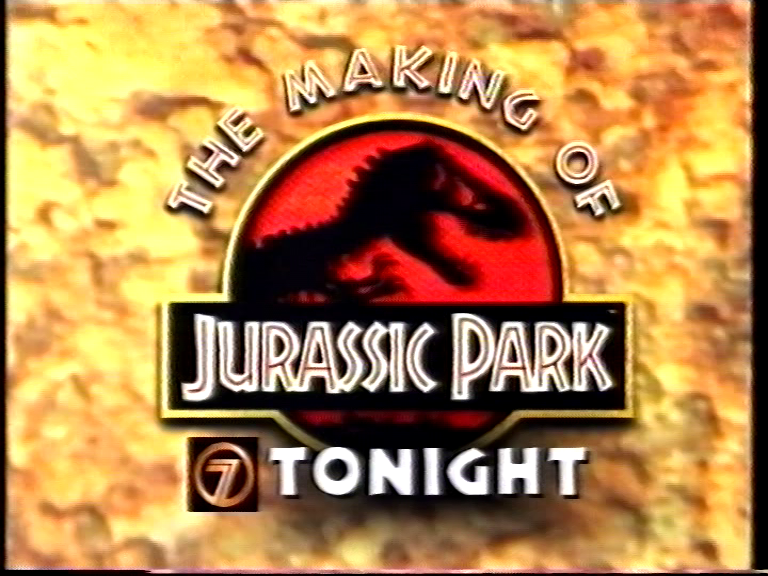 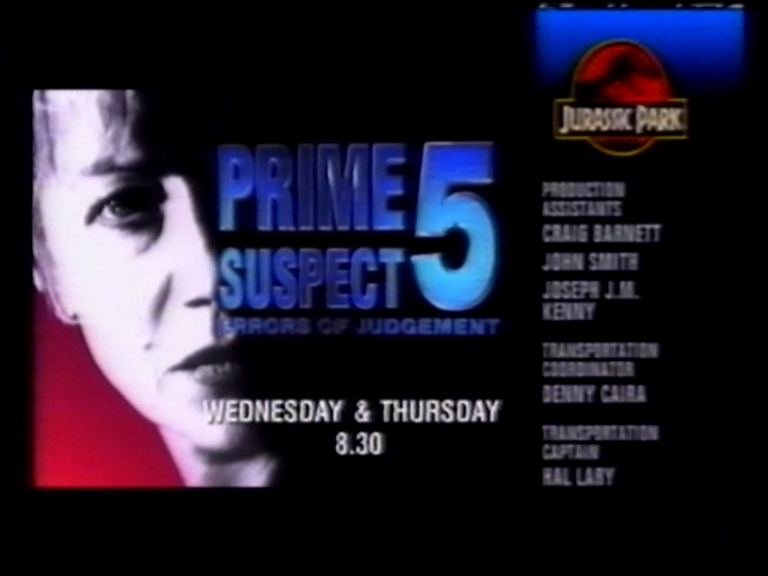 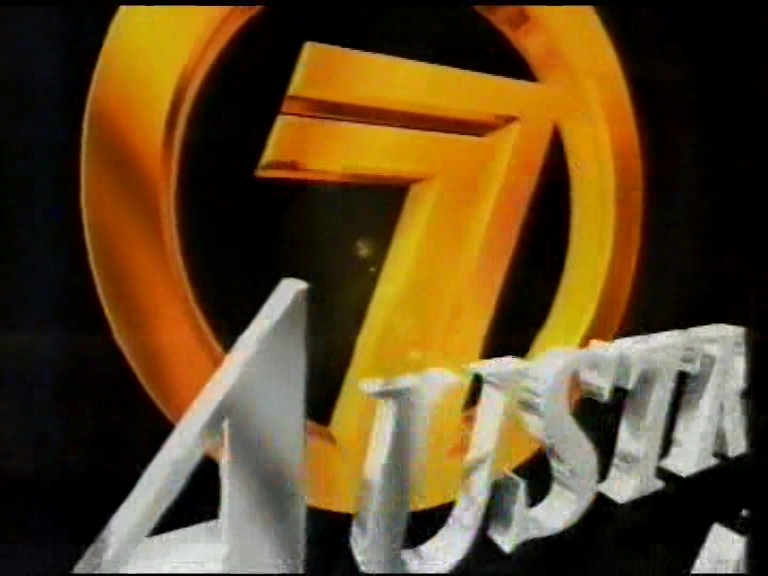 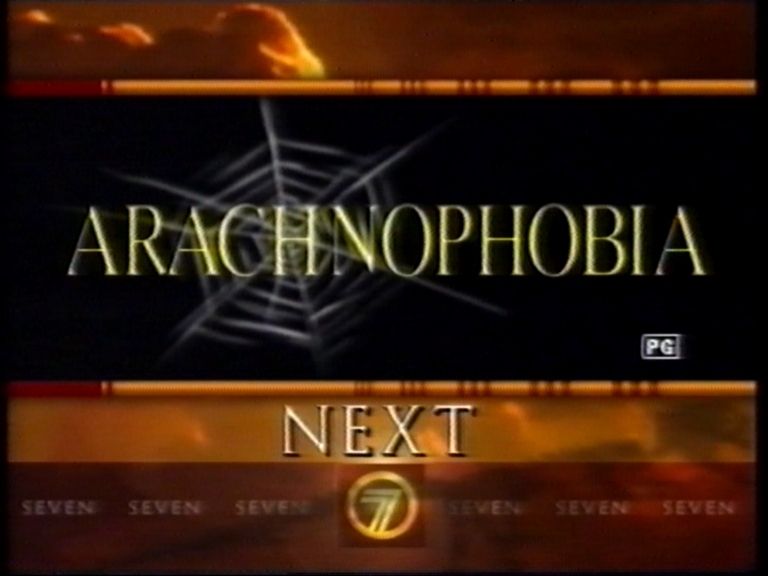 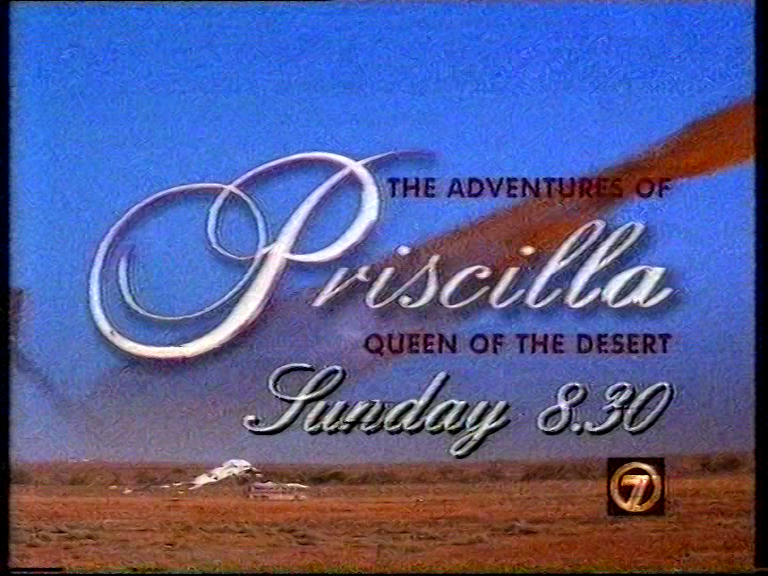 With Australian commercial networks usually going for over-credit voiceovers or maybe split screening the credits of movies back in 1996, I’m going to guess that Seven might’ve only done this style of incorporating the credits & promos in a split screen format for their premiere airing of Jurassic Park. 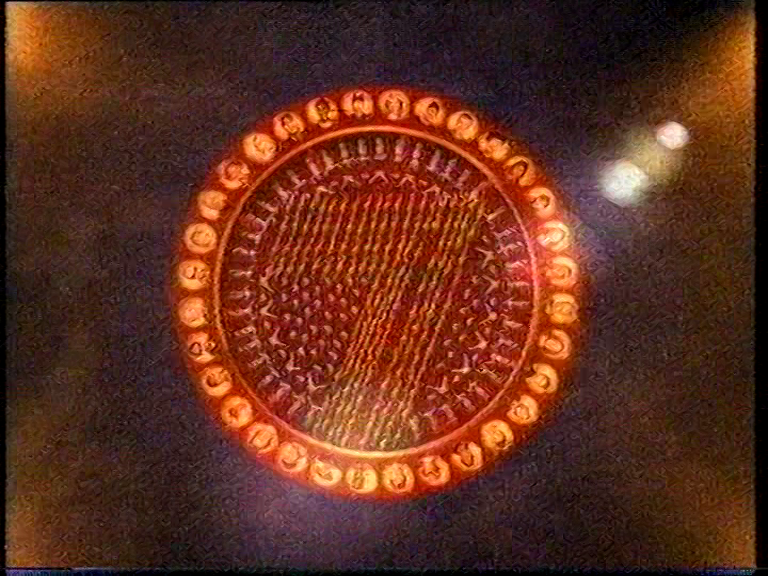 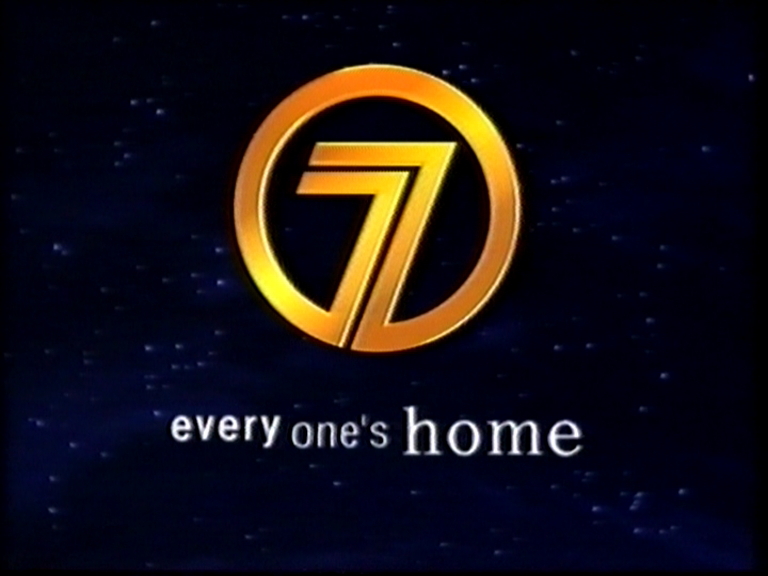 But it’s to my understanding that the concept was inspired by US television, NBC in particular (where for decades, Seven has gotten quite a lot of their branding ideas from of course) had been doing this sort of thing for a while by then. 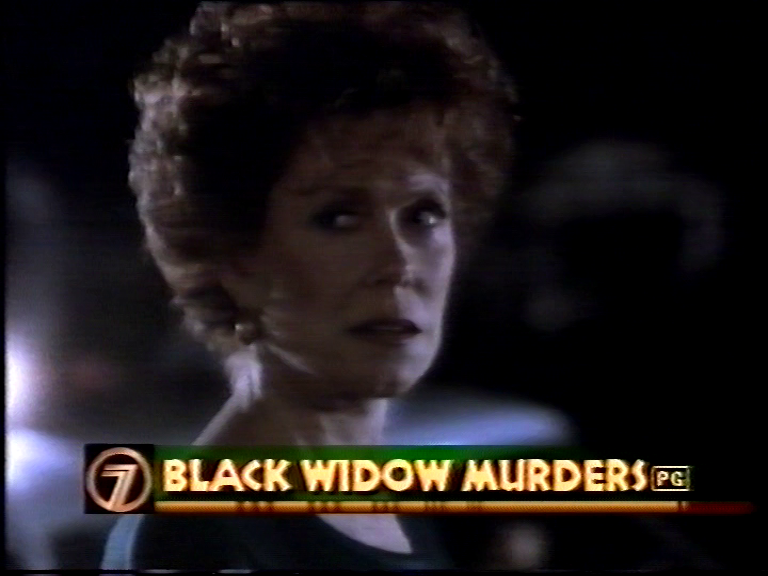 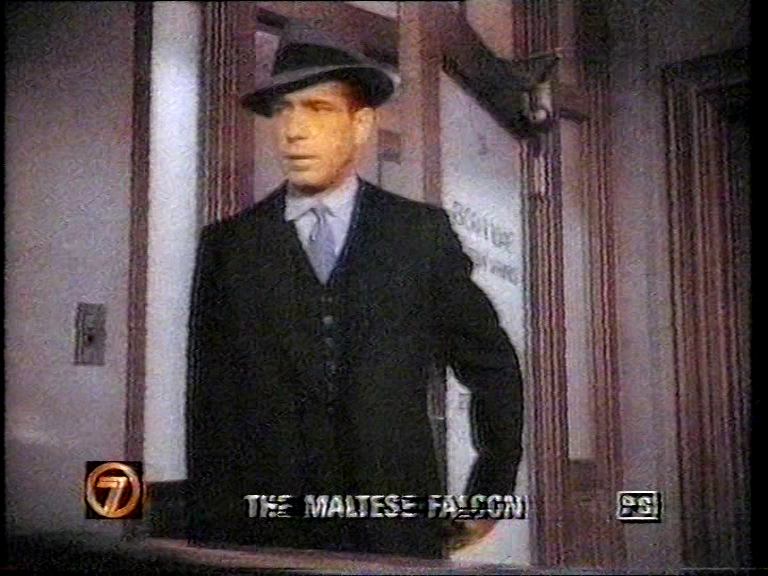 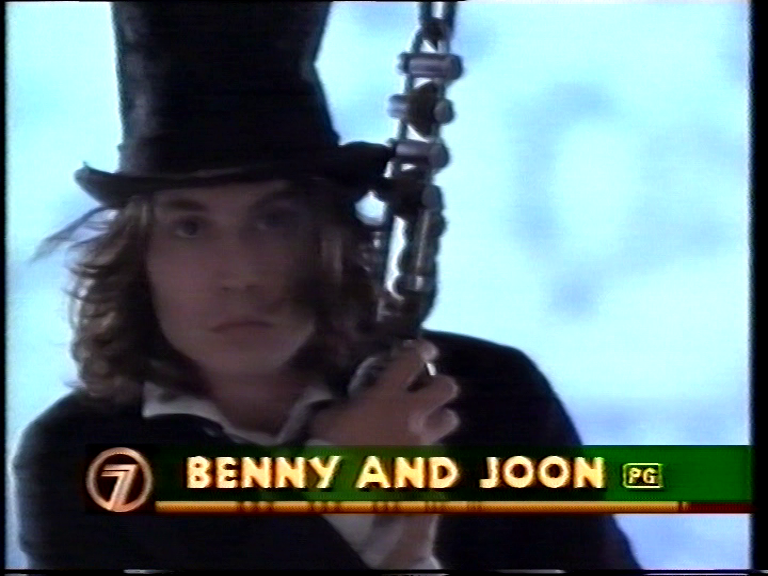 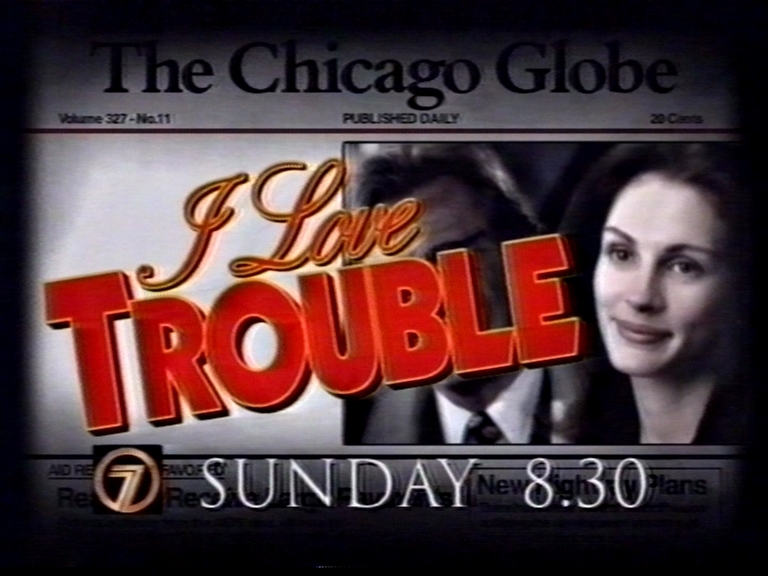 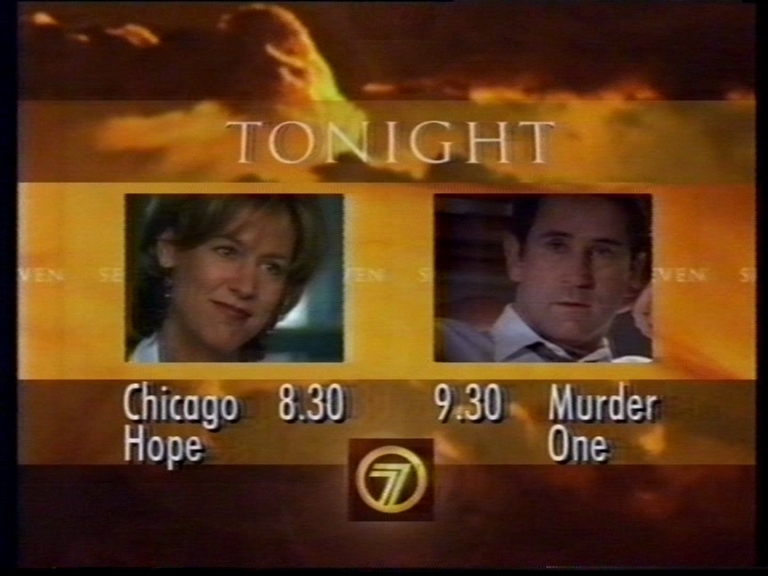 It looks like Seven emulated what NBC was doing at the time. 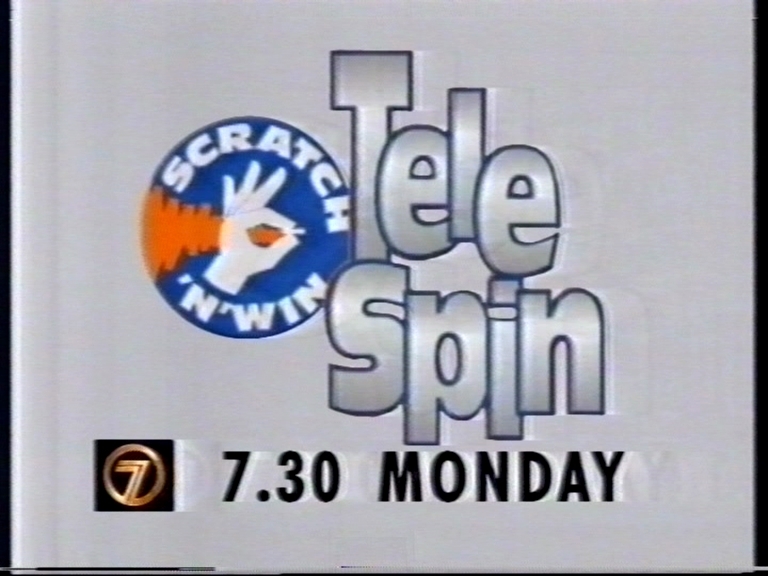 The two most notable local programming variations here are “Scratch ‘n’ Win Telespin” (What was that all about?) 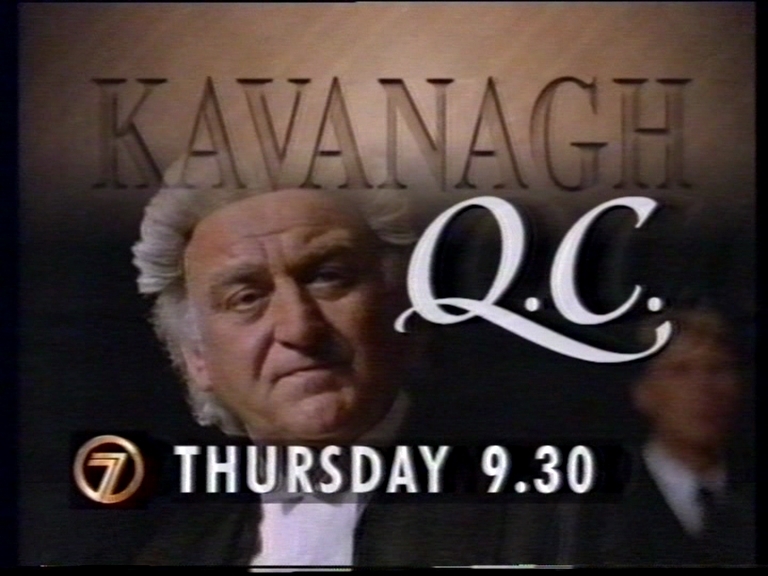 and Kavanagh Q.C at 9.30pm on Thursdays while the East Coast seemed to be running Thief Takers. 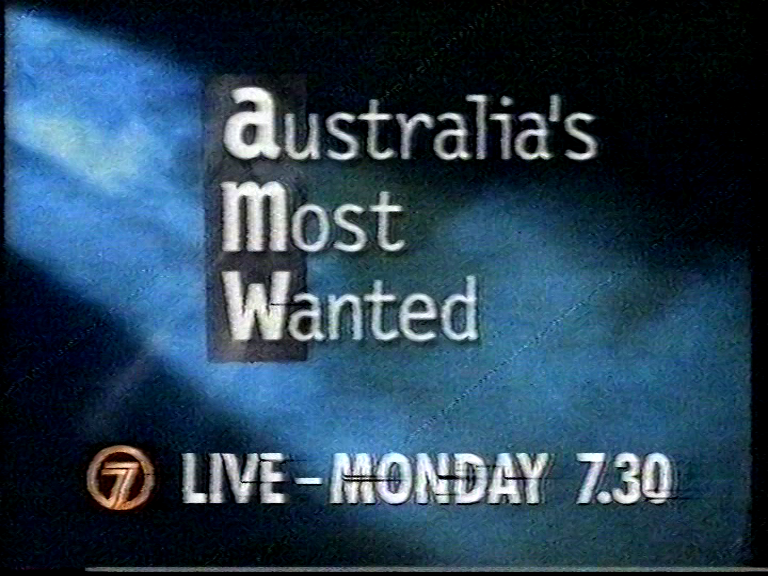 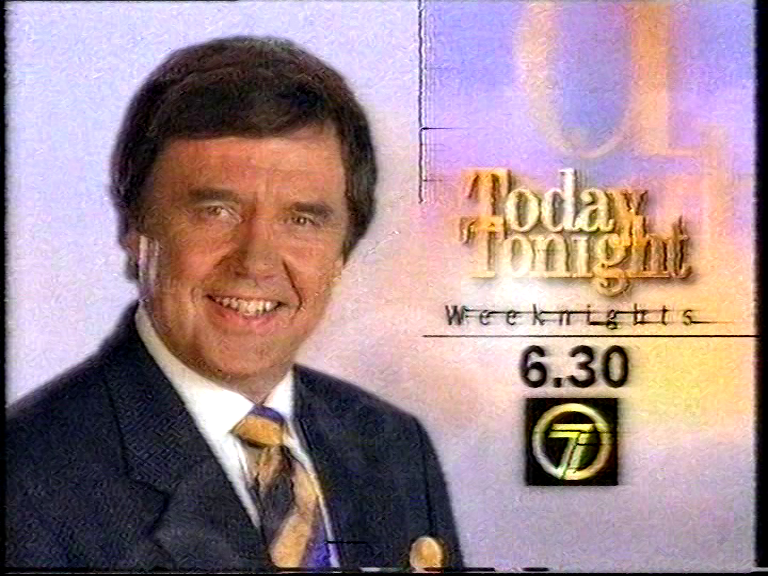 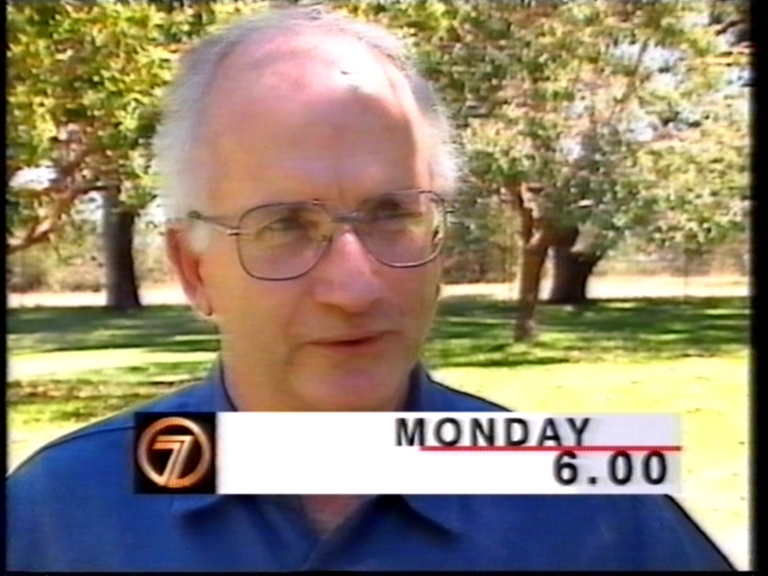 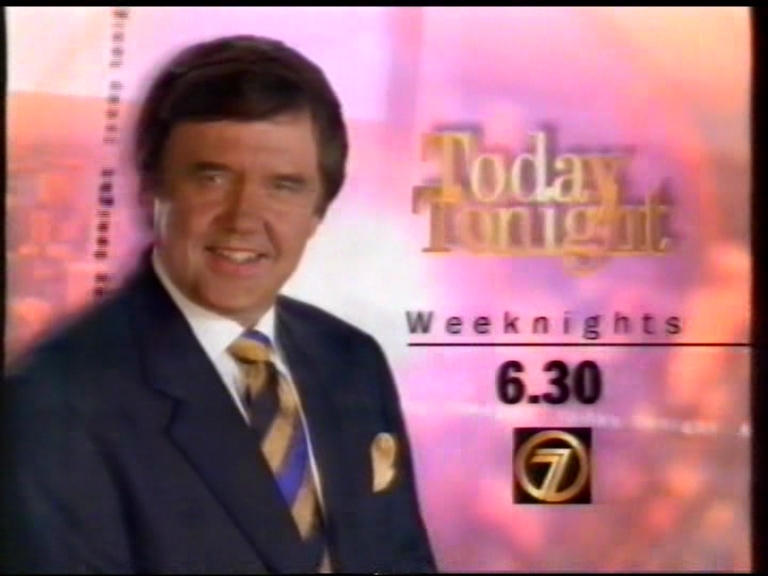 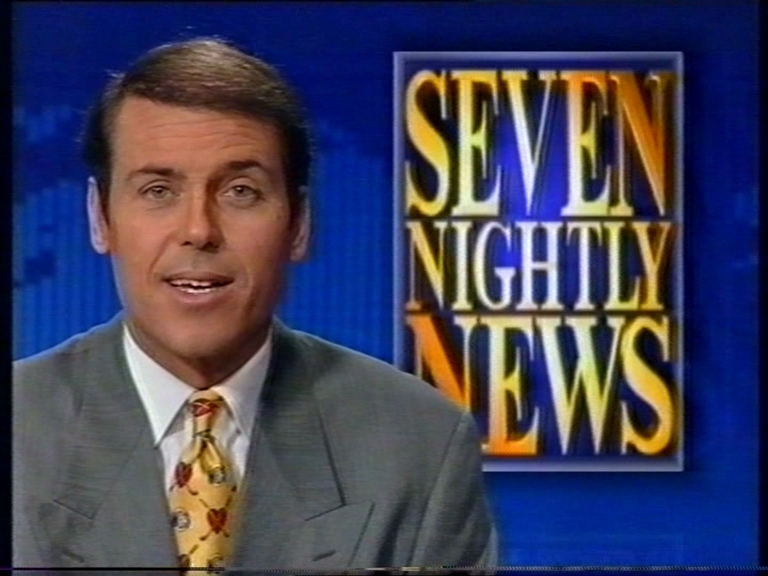 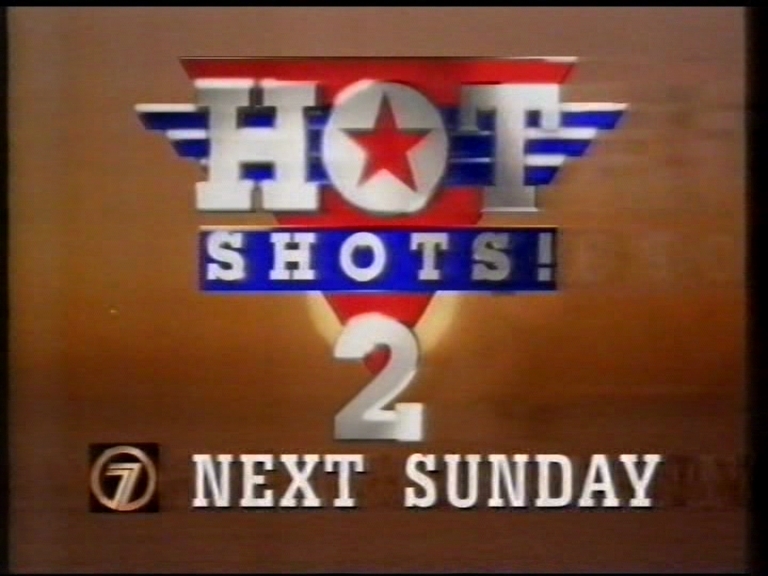 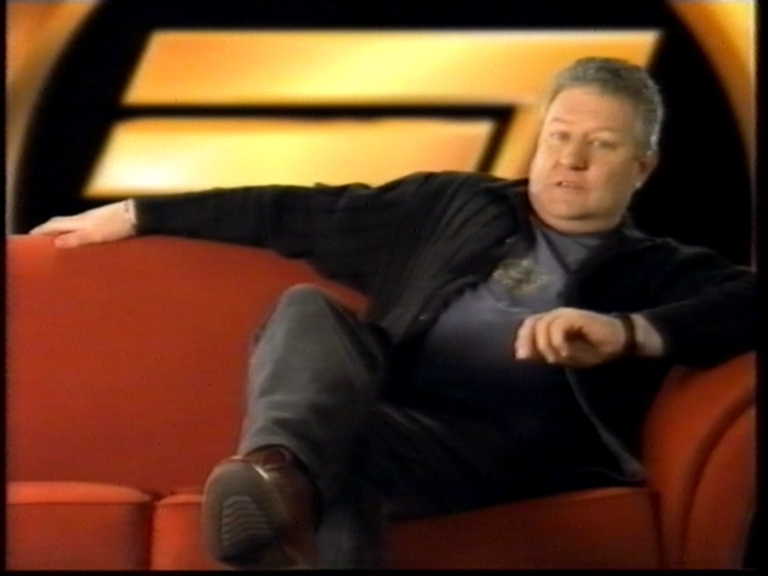 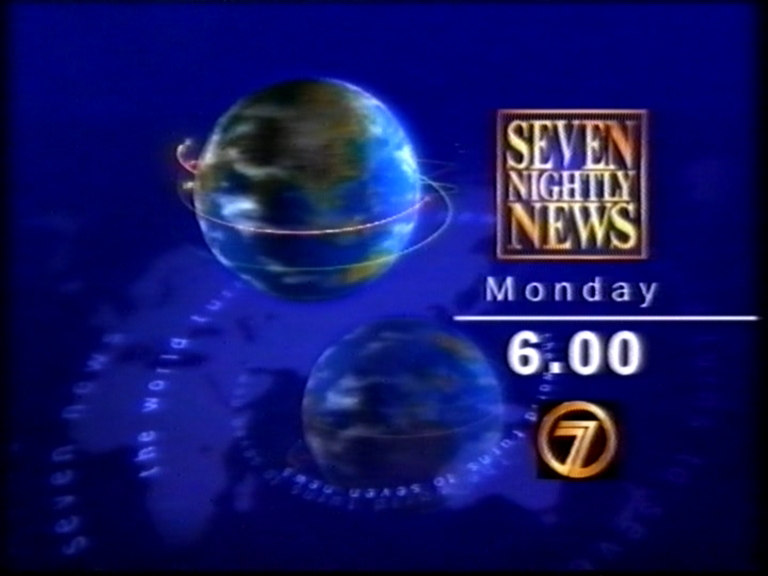 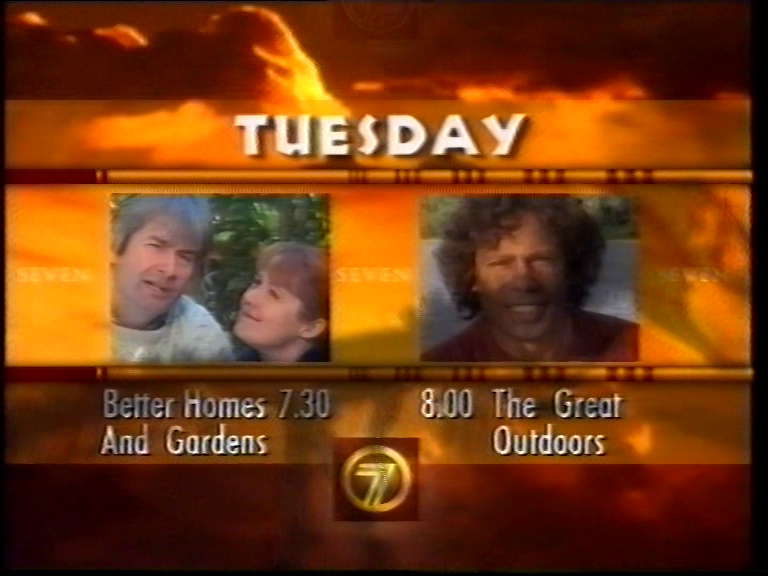 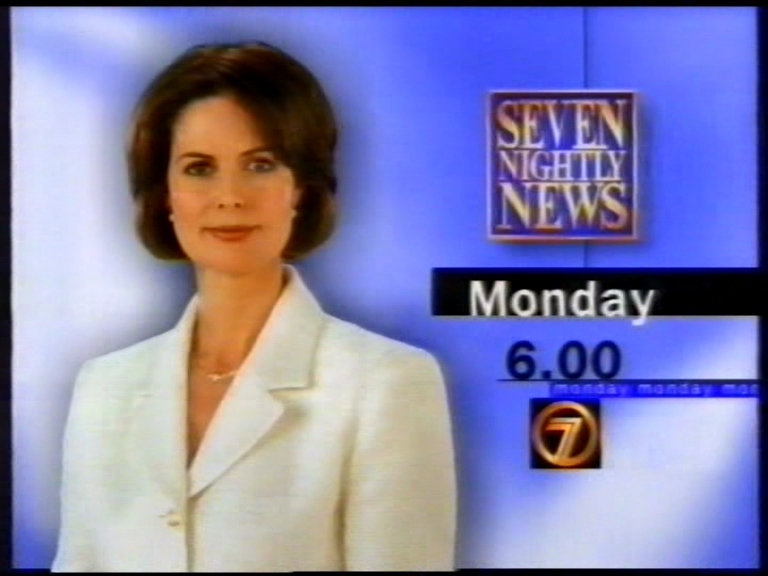 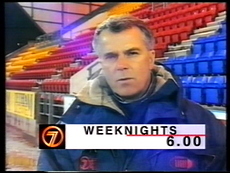 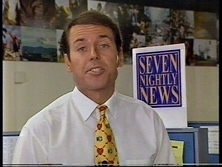 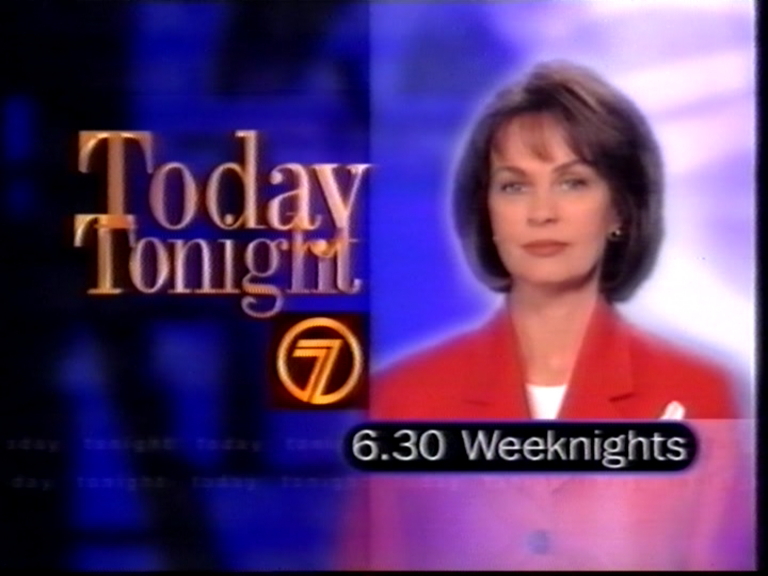 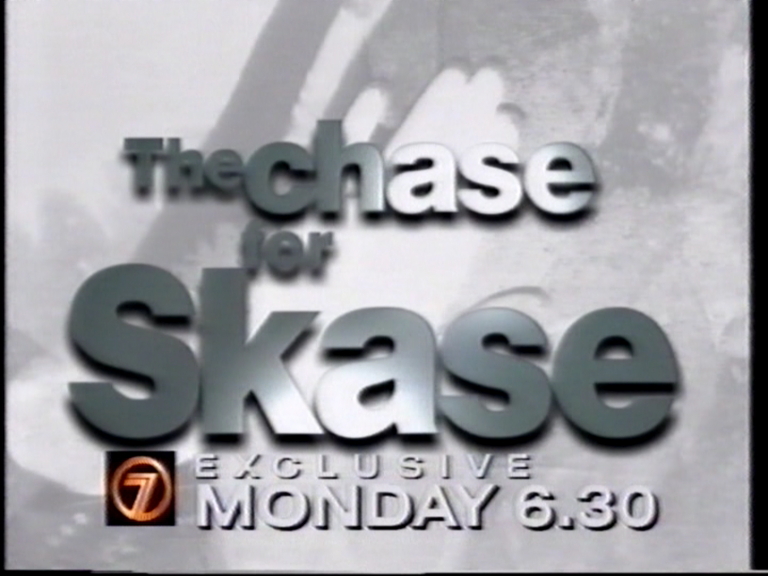 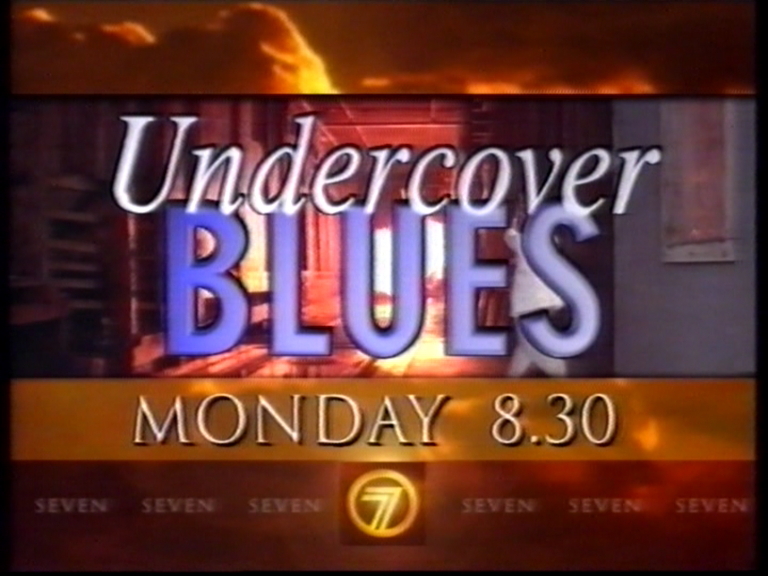 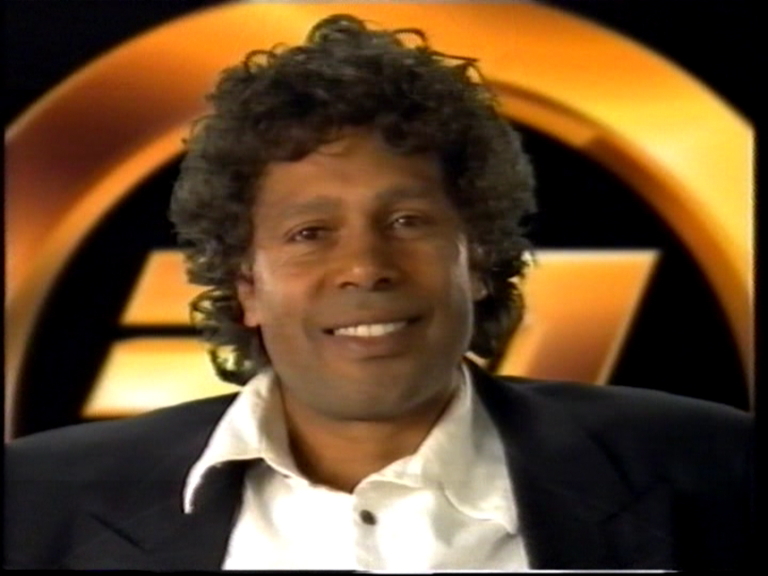 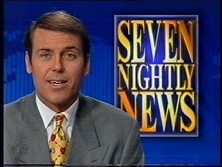 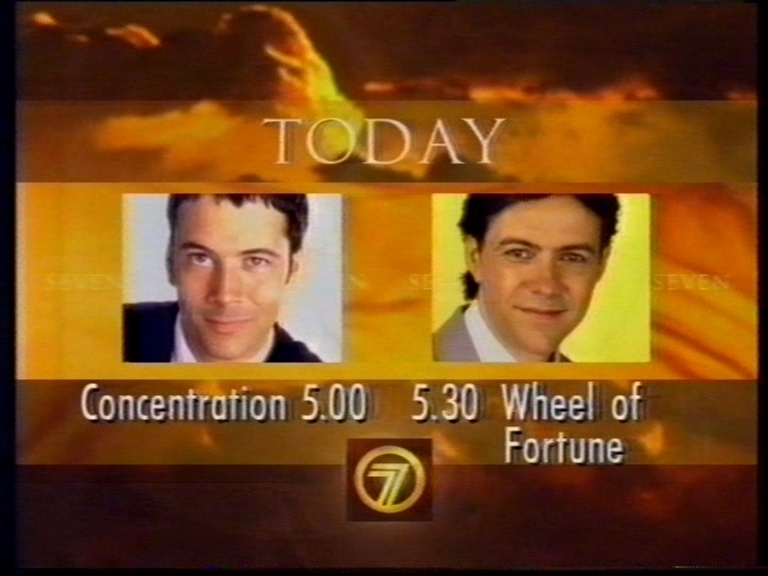 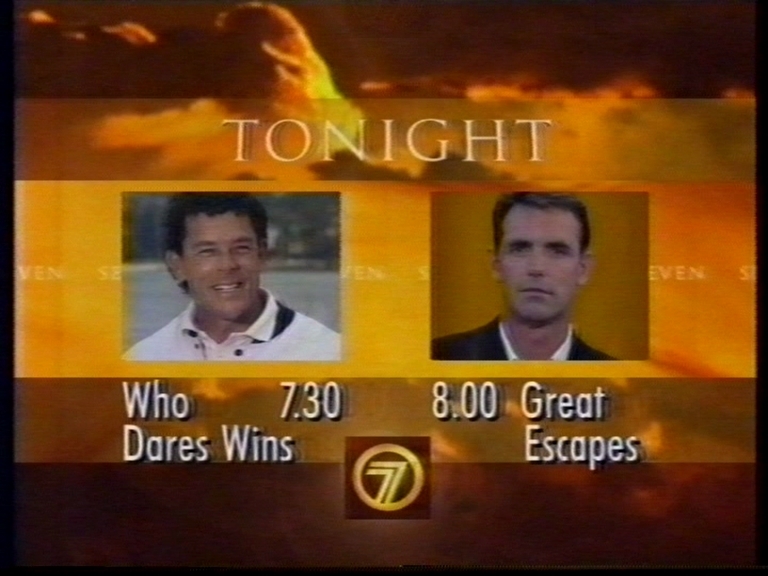 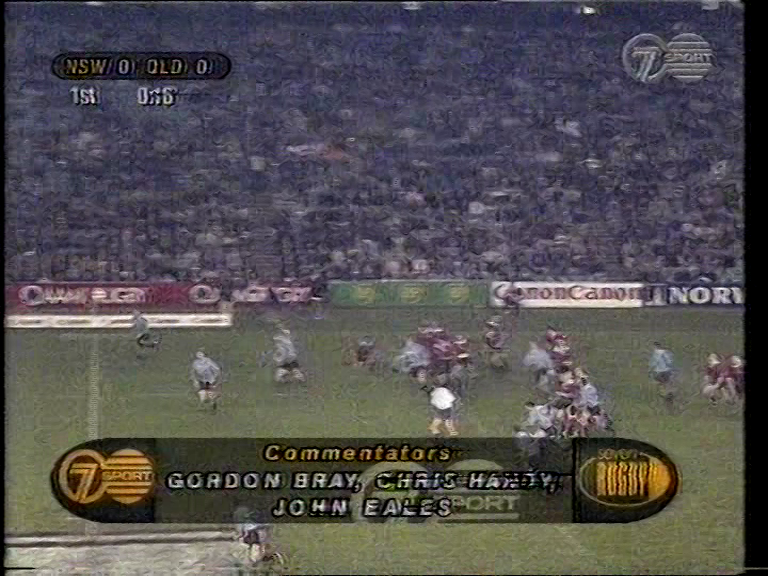 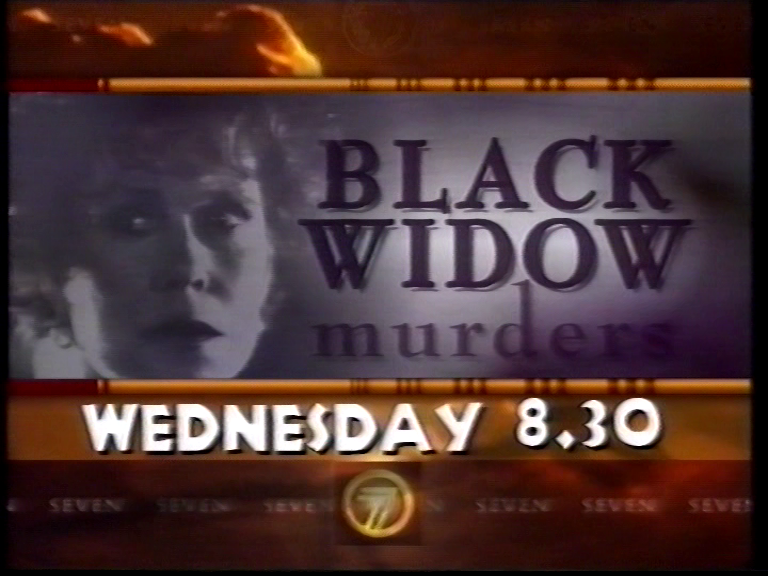 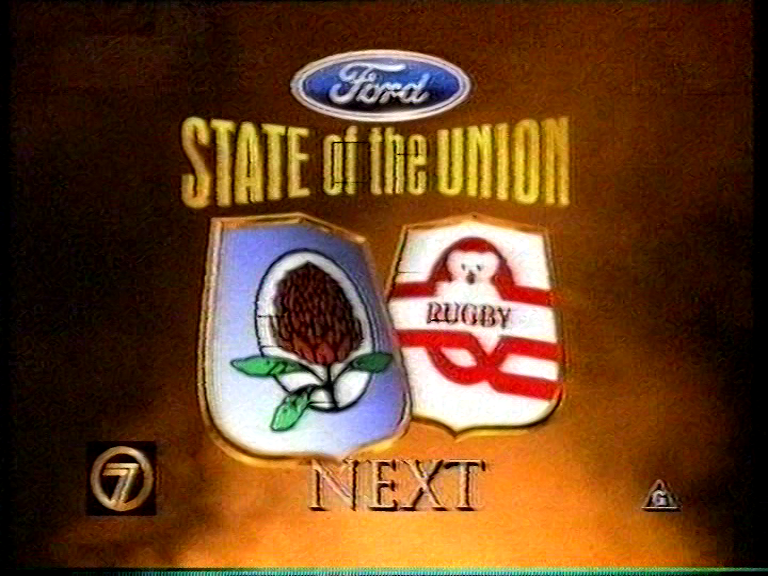 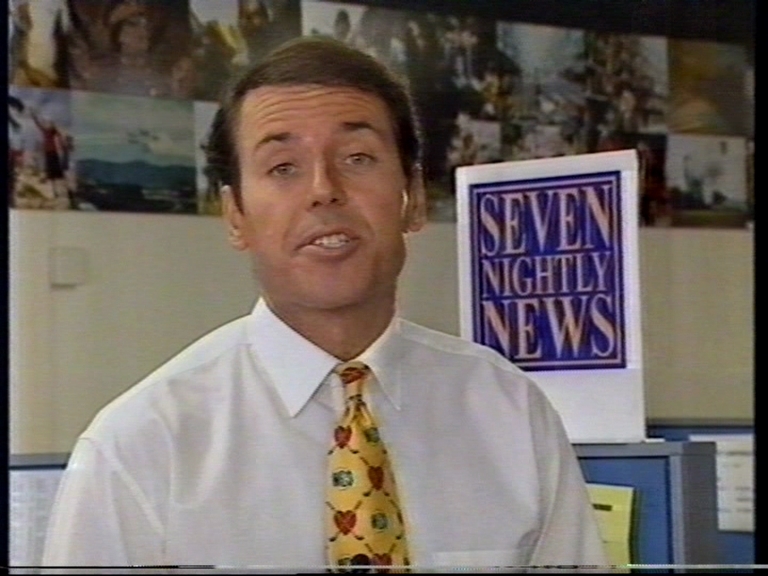 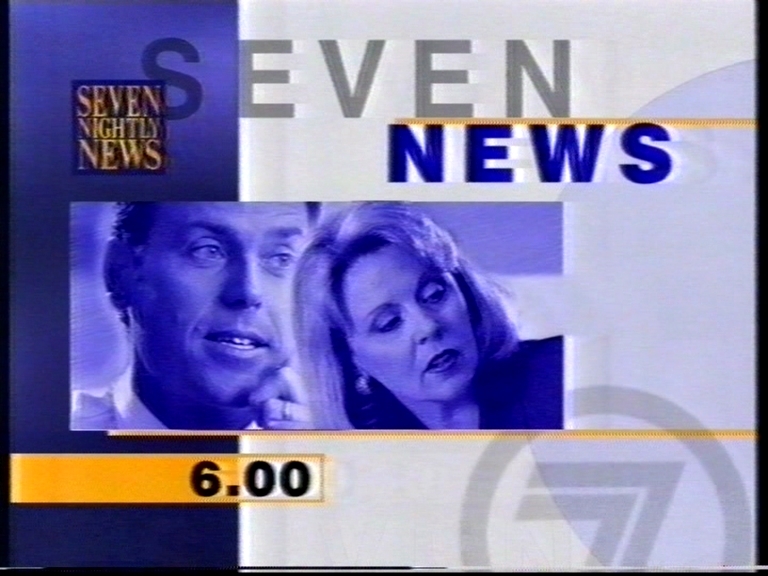 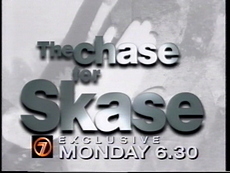 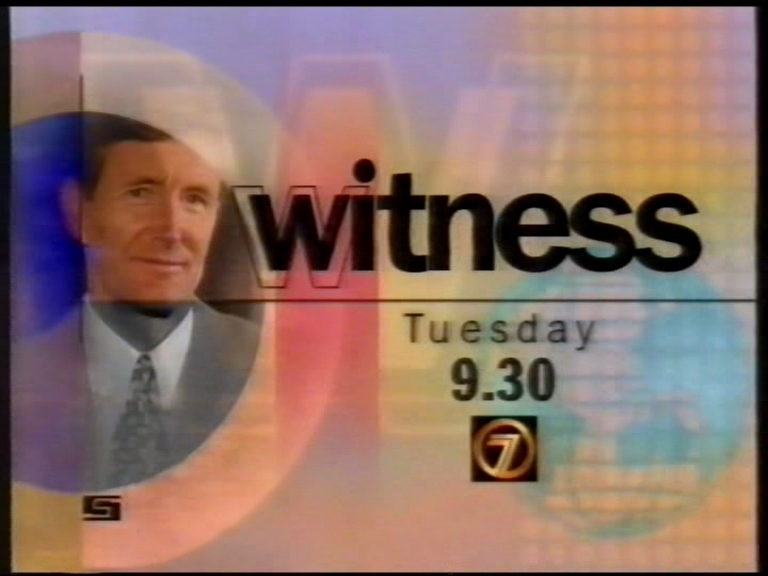 As for the content in the network-wide promos, Concentration with Mike Hammond looked like an obvious Channel Seven response to “Burgo’s Catch Phrase” on Nine (Which one came first, BTW?) 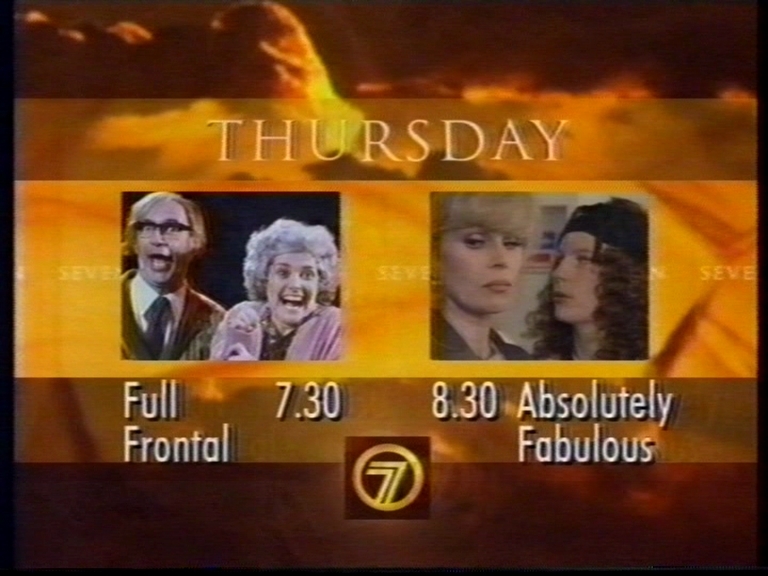 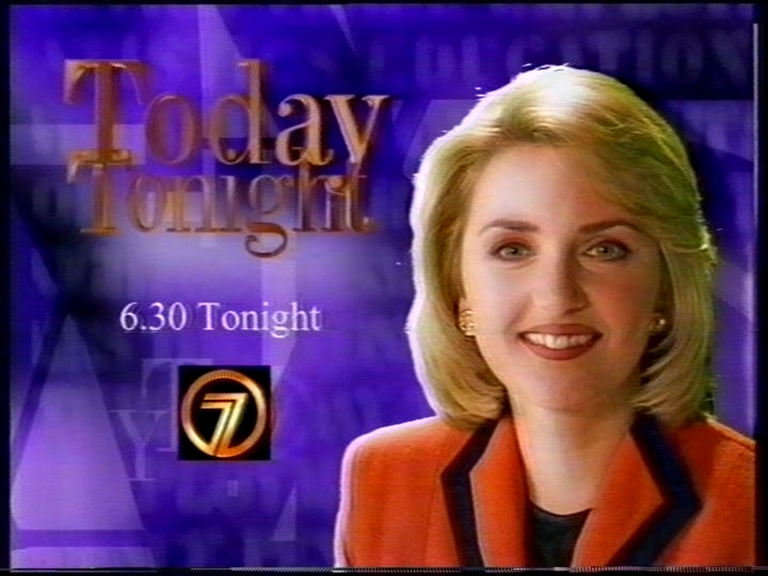 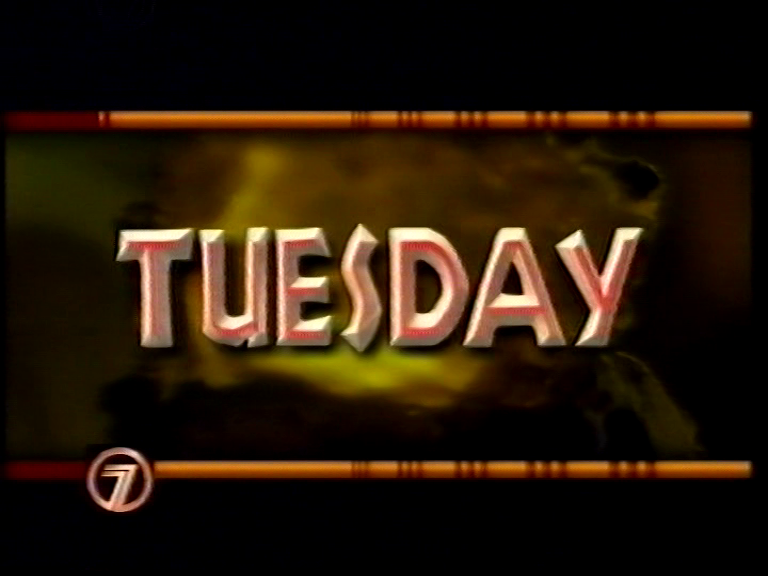 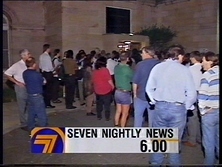 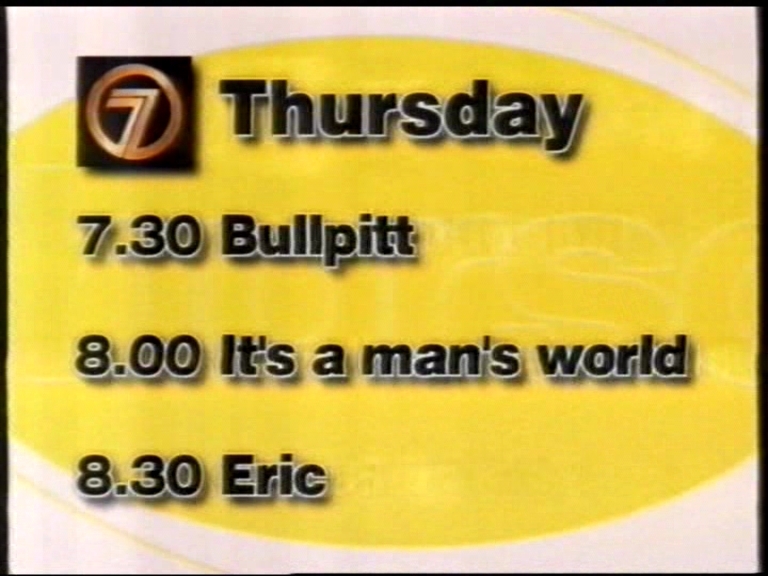 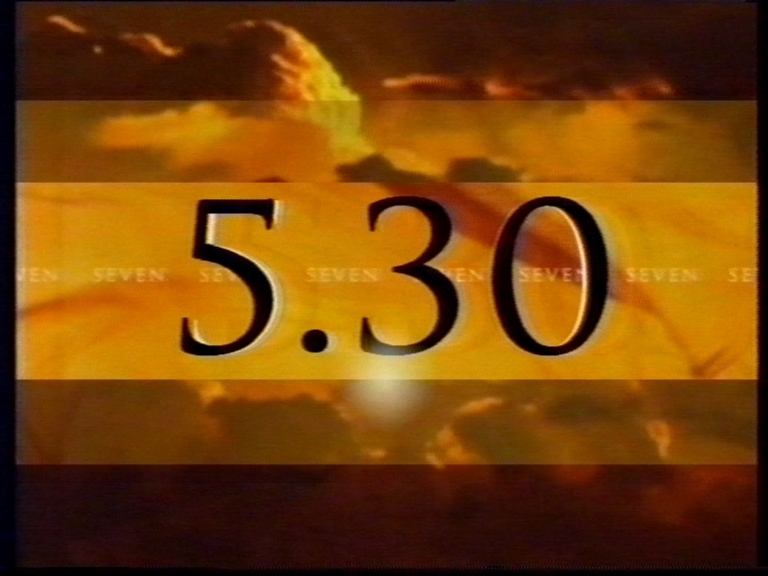 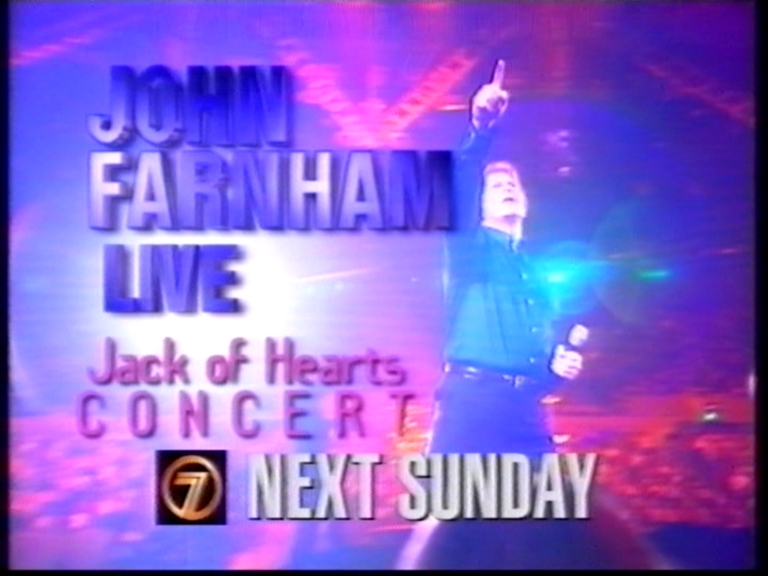 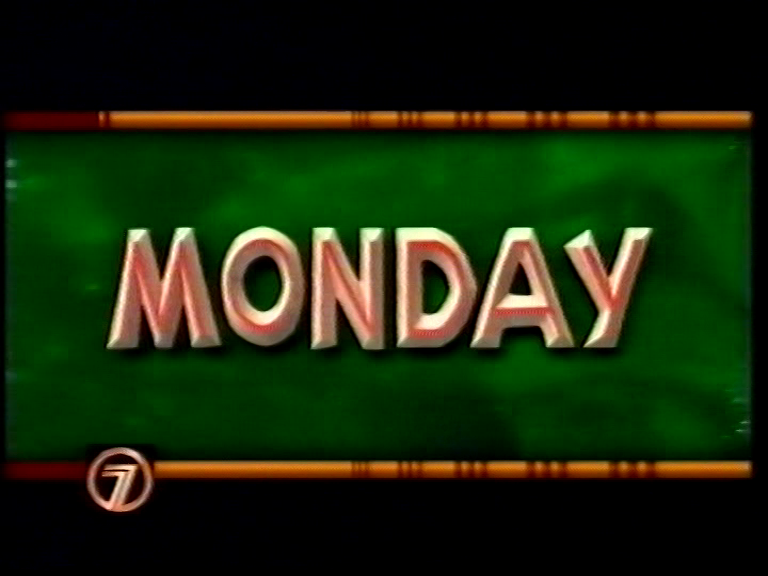 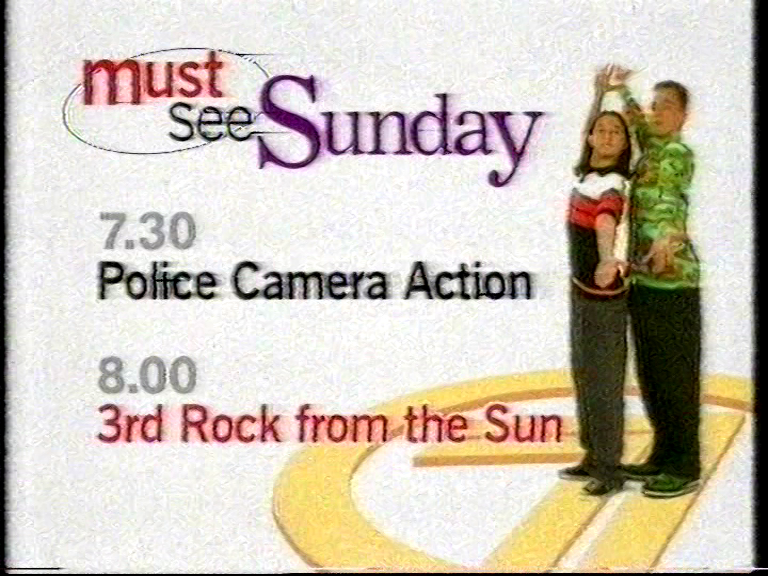 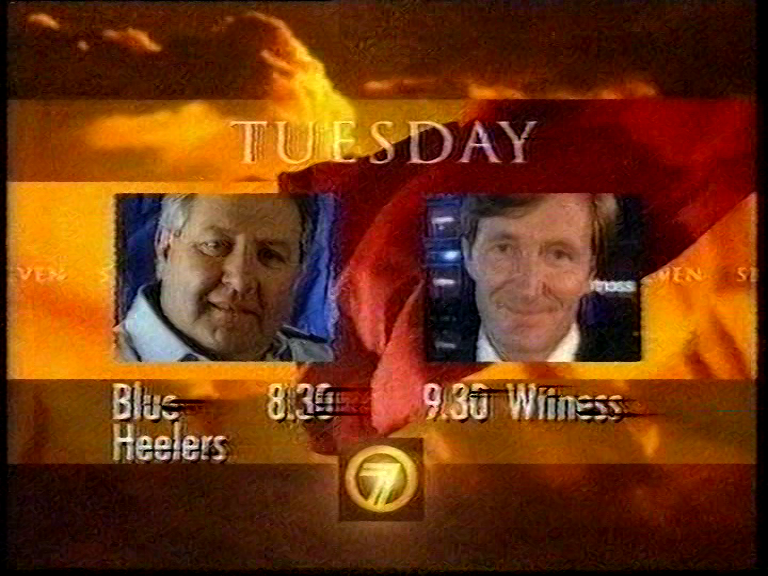 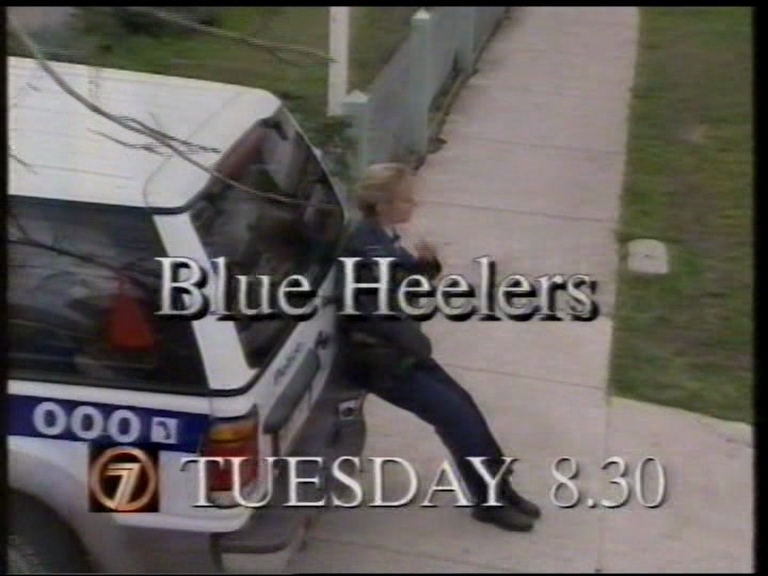 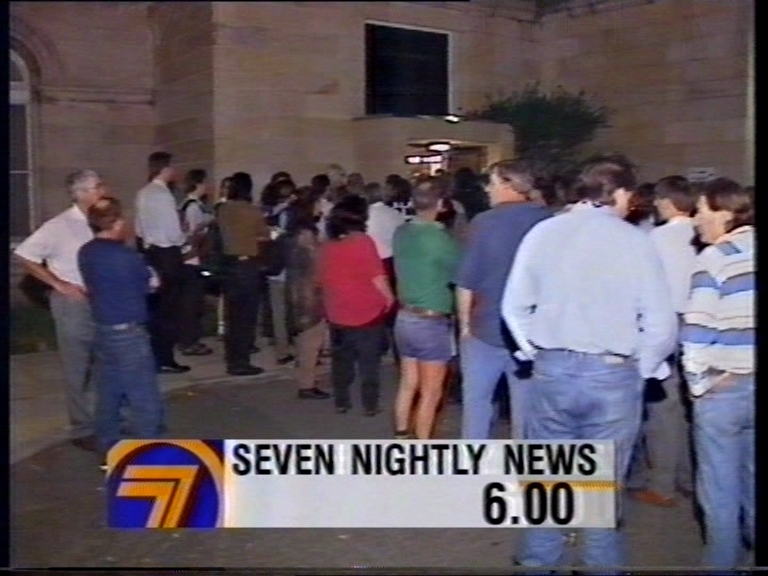 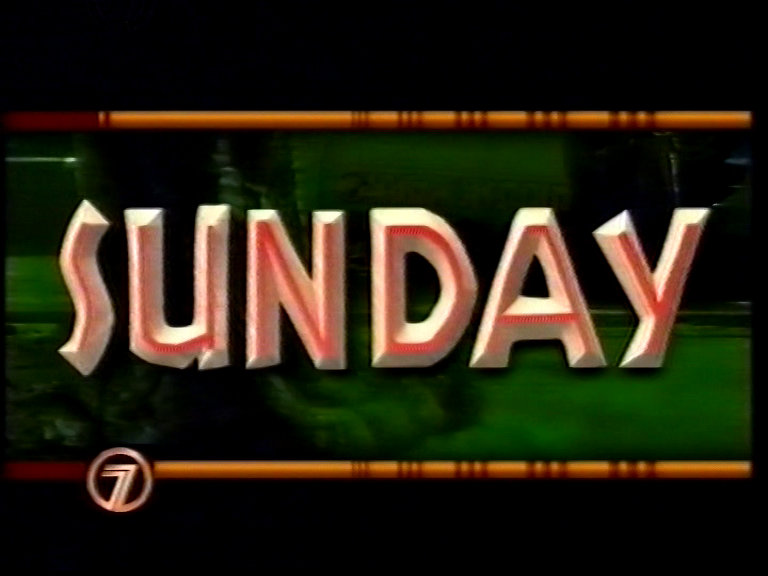 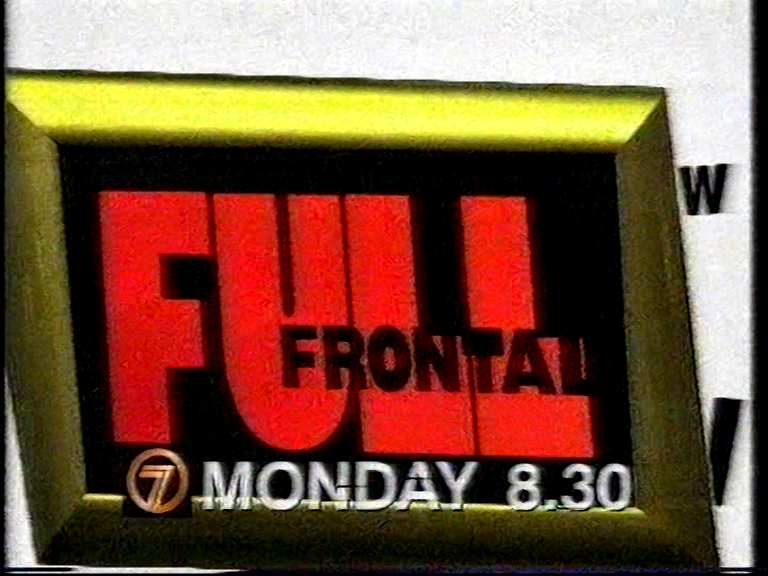 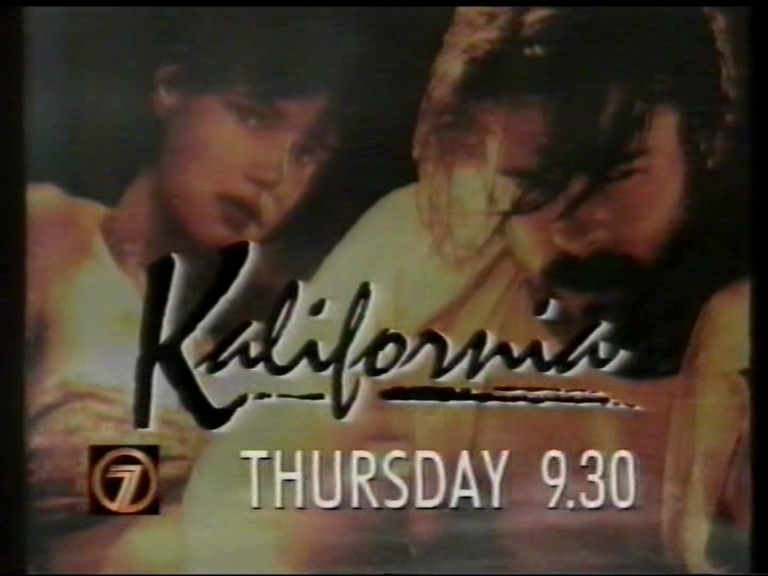 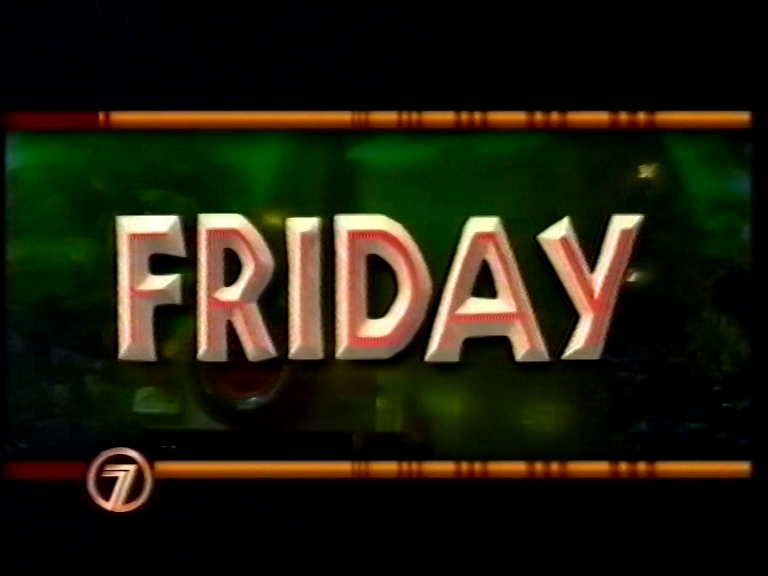 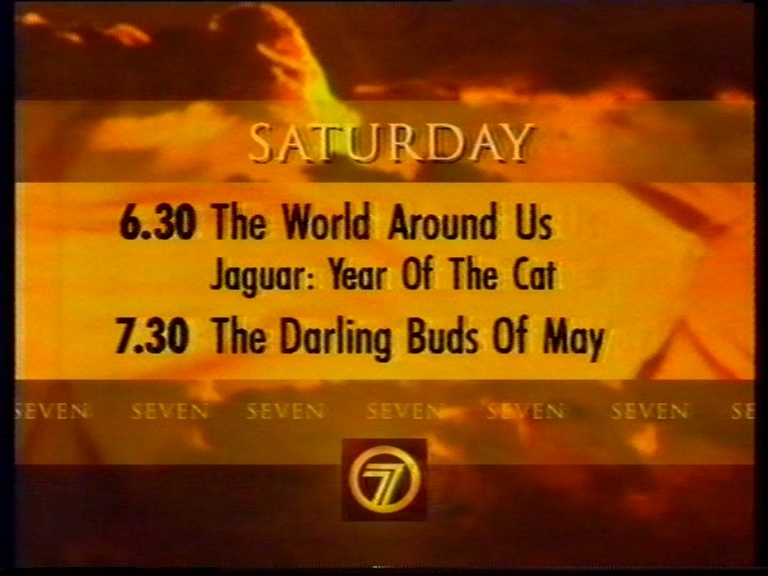 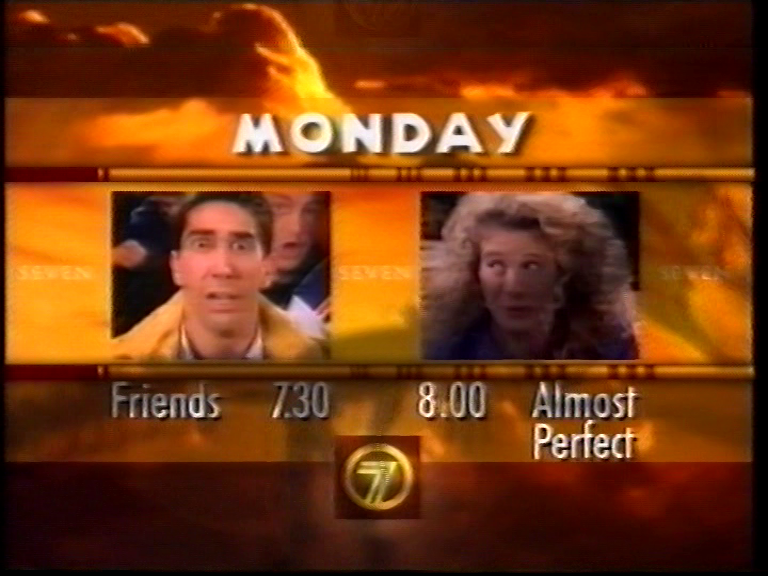 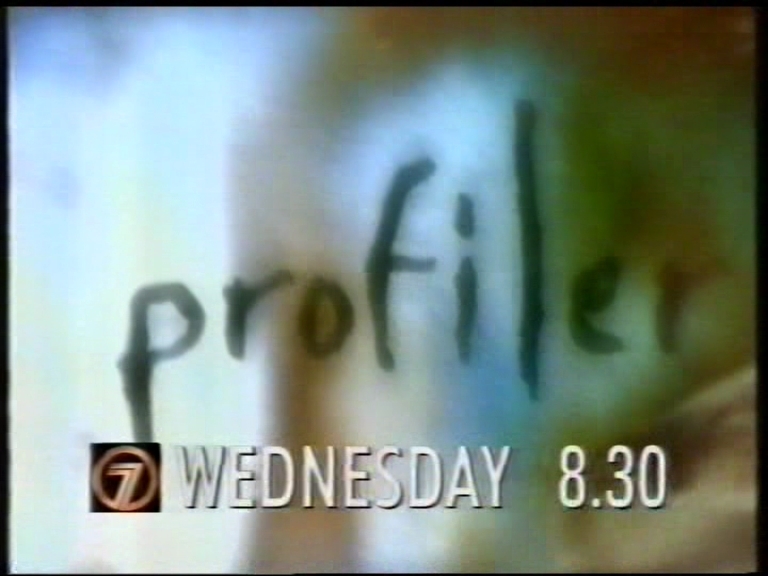 while repeats of Full Frontal from the previous year (likely edited for the timeslot/PG classification, one would imagine) were airing at 7.30pm around the same time new episodes for 1997 had just started airing in the 8.30pm Monday timeslot. 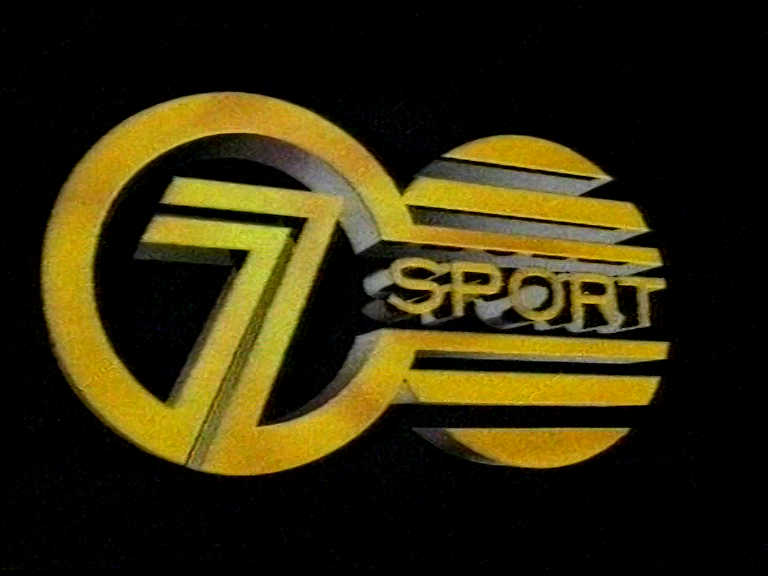 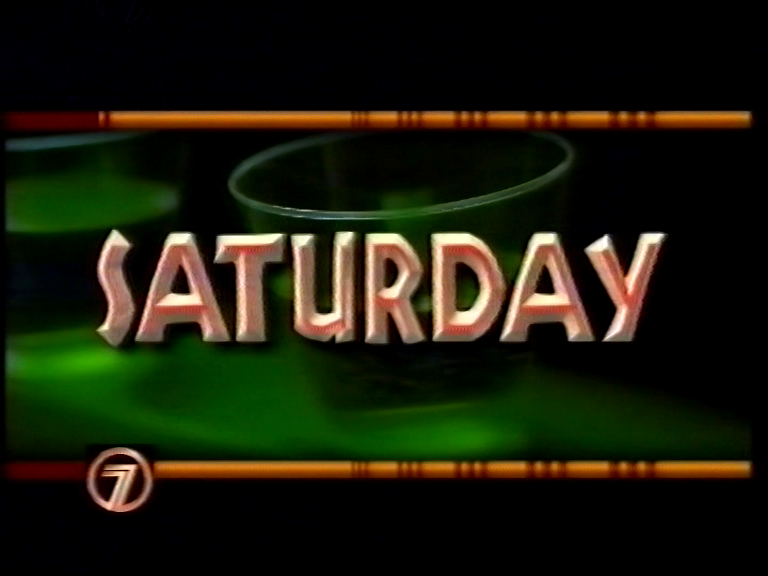 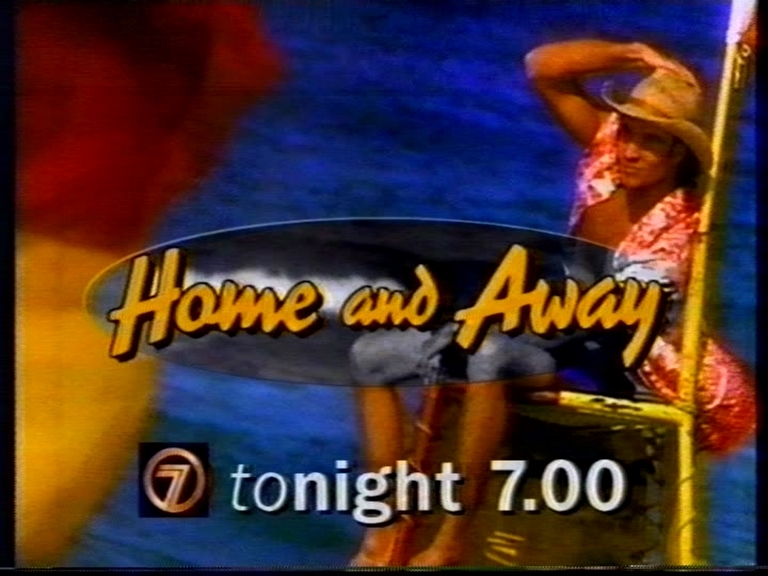 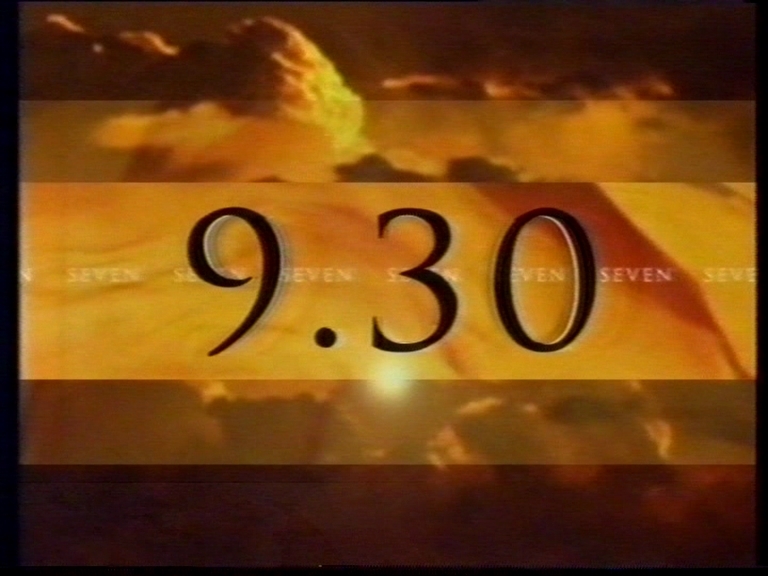 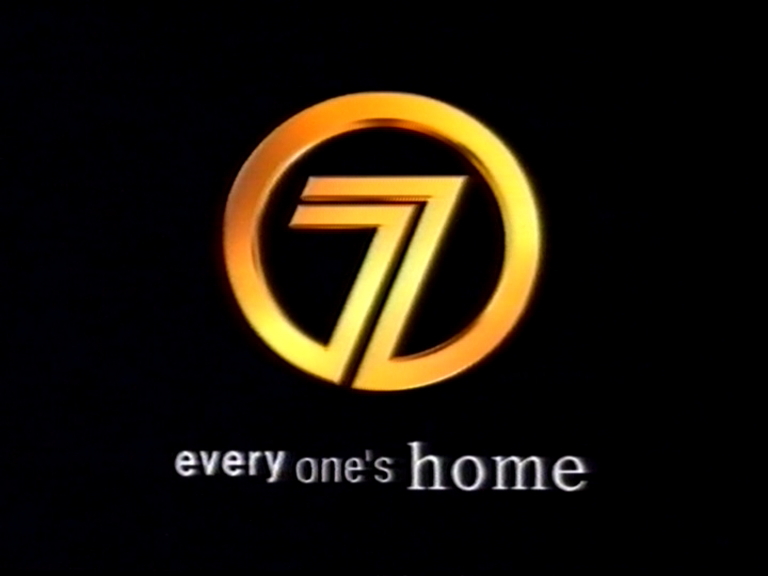 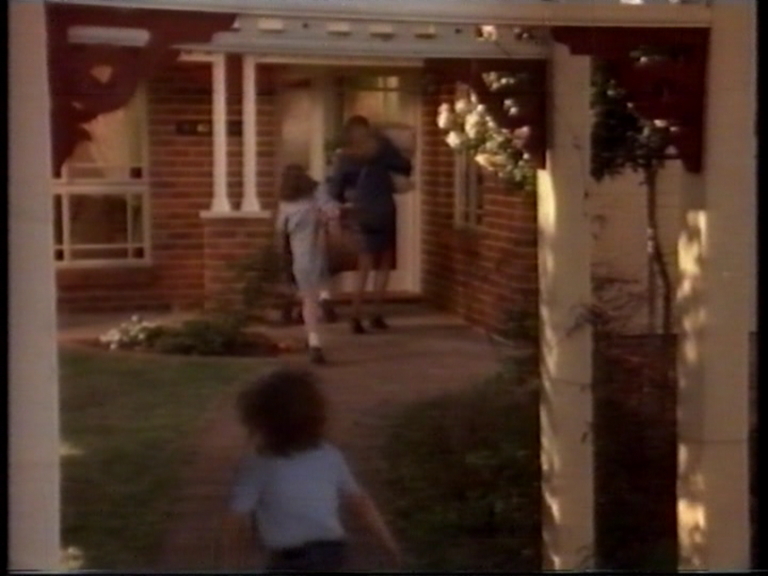 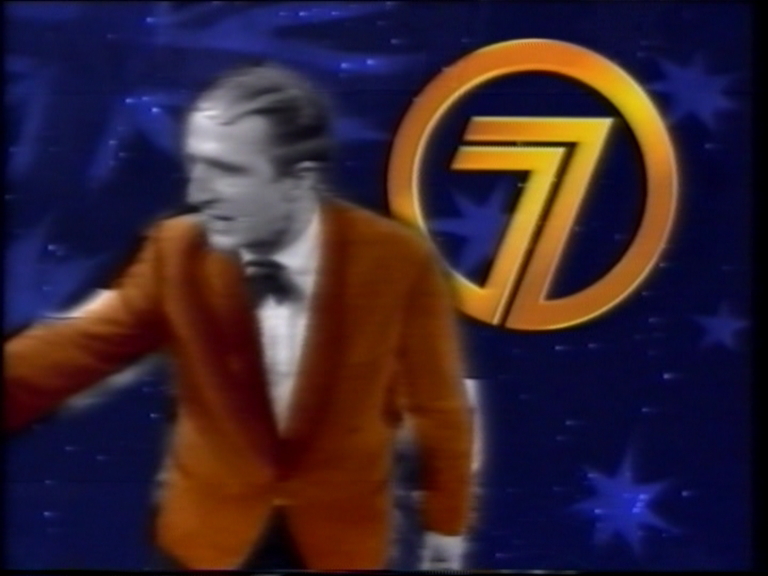 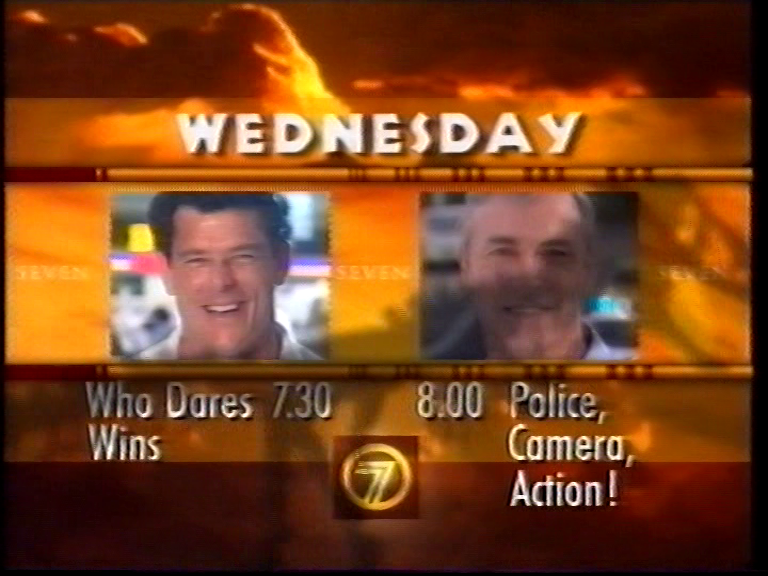 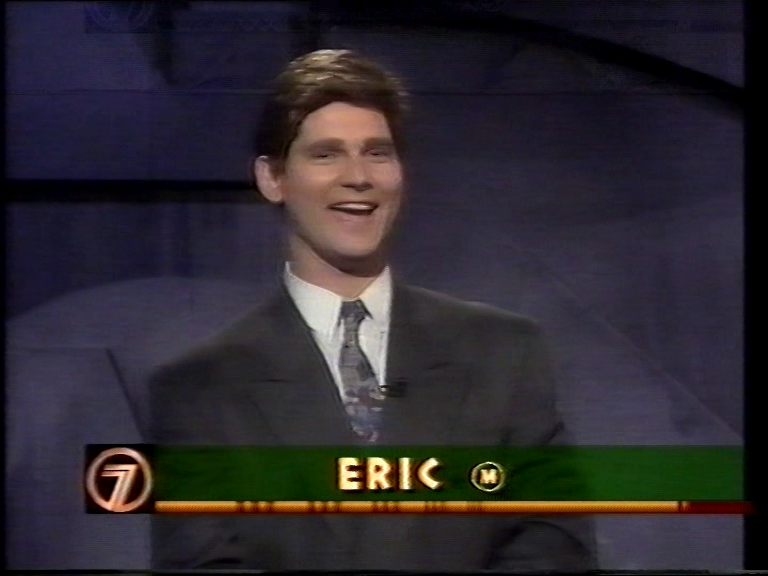 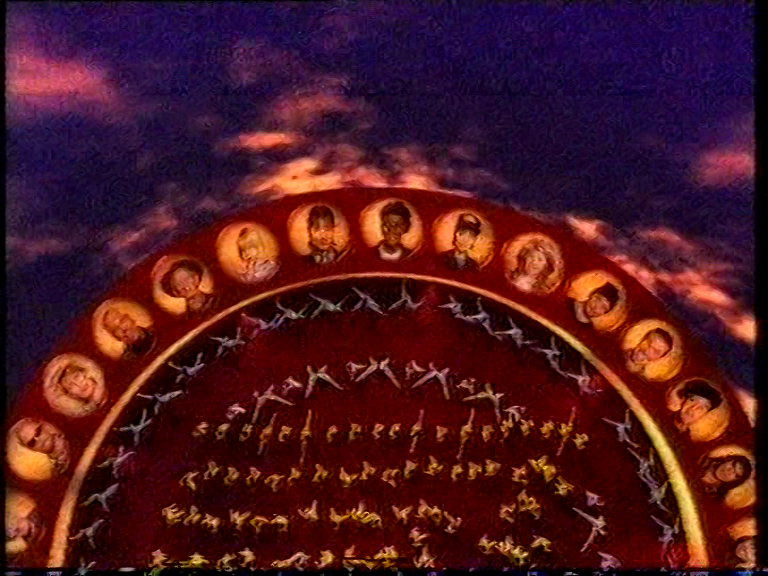 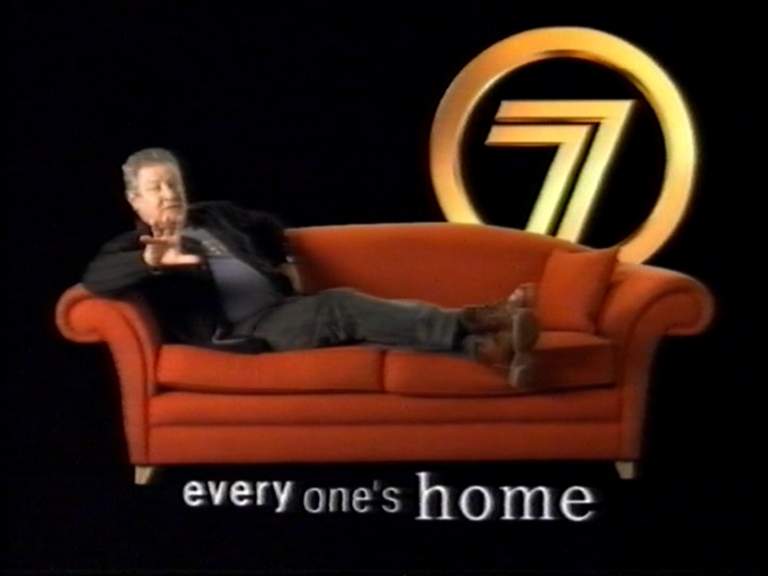 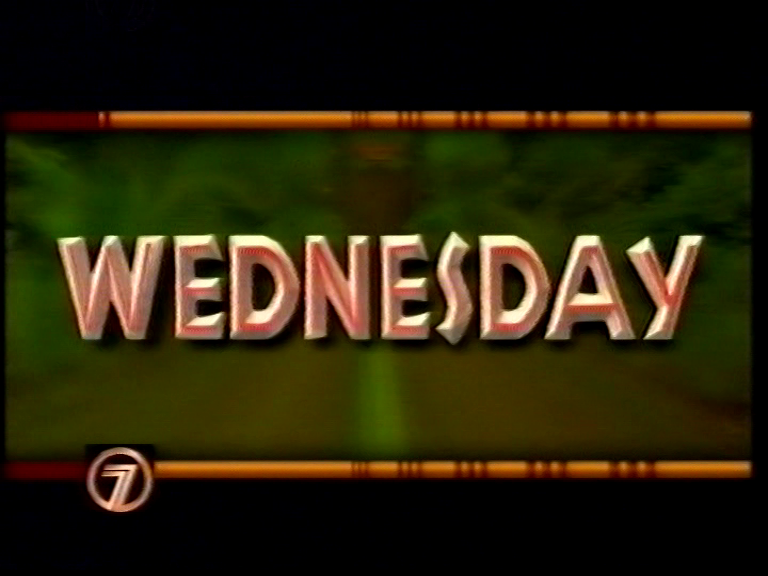 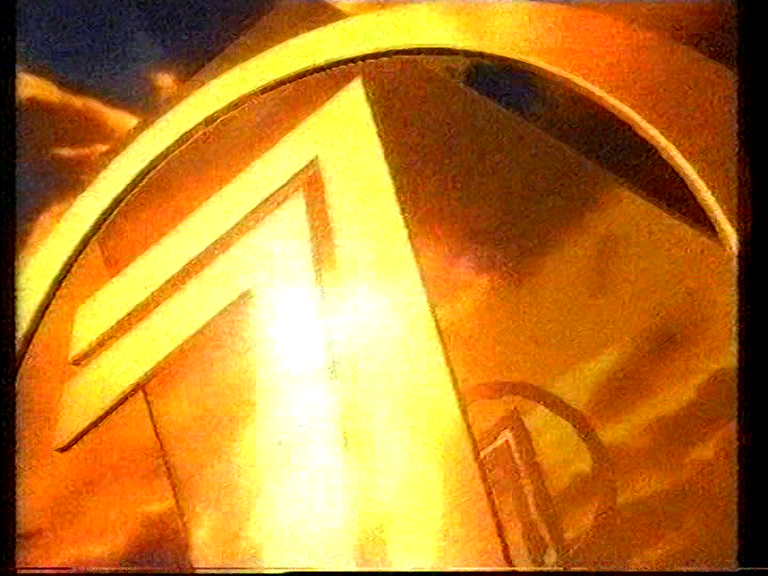 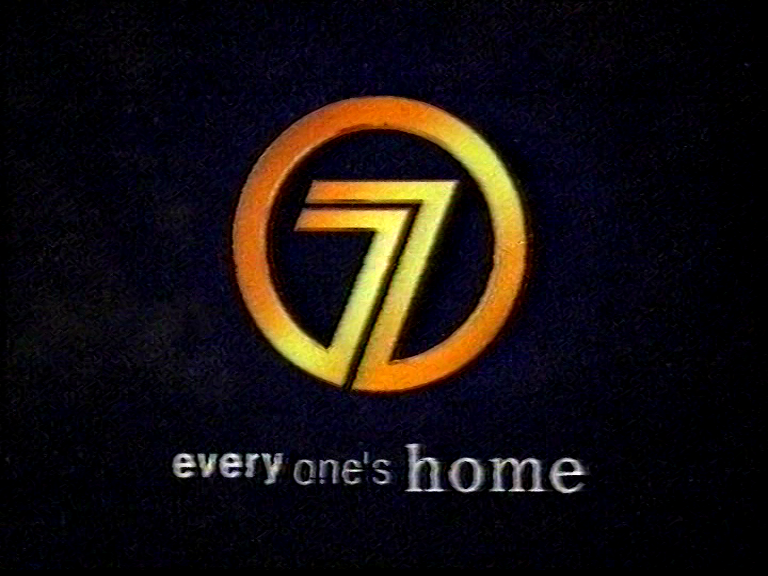 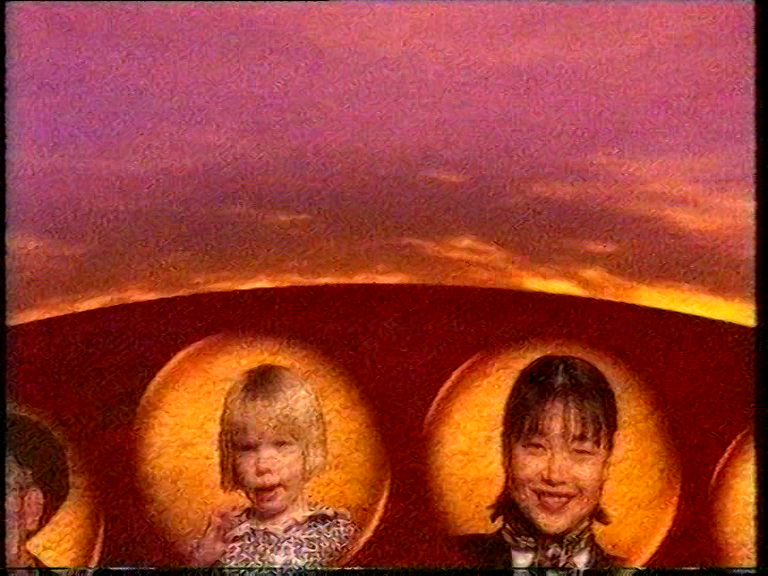 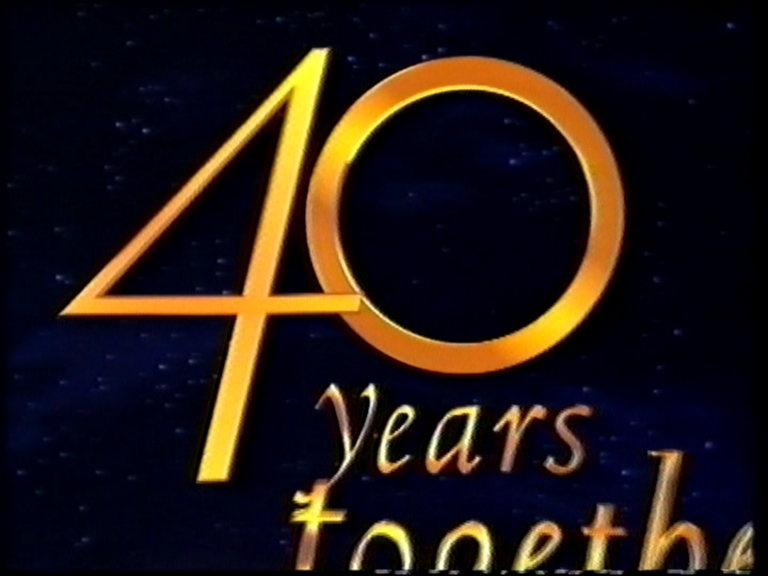 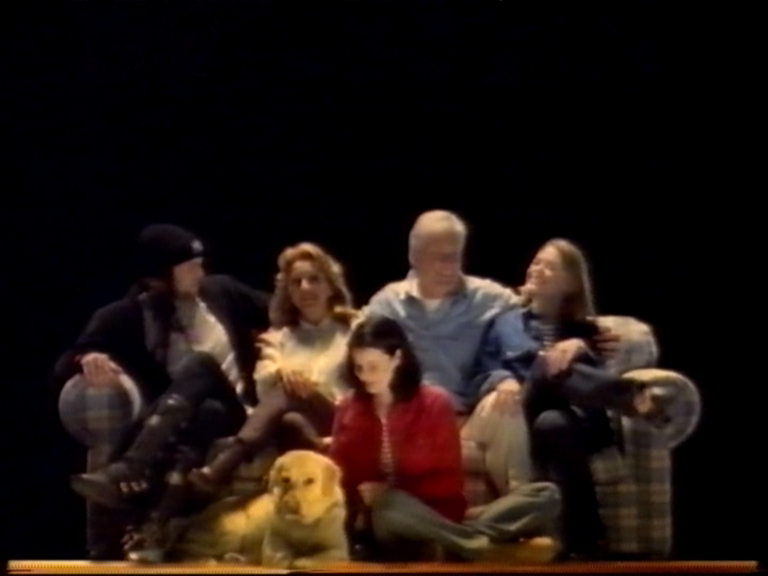 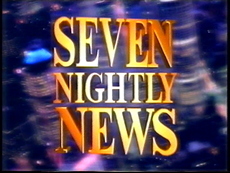 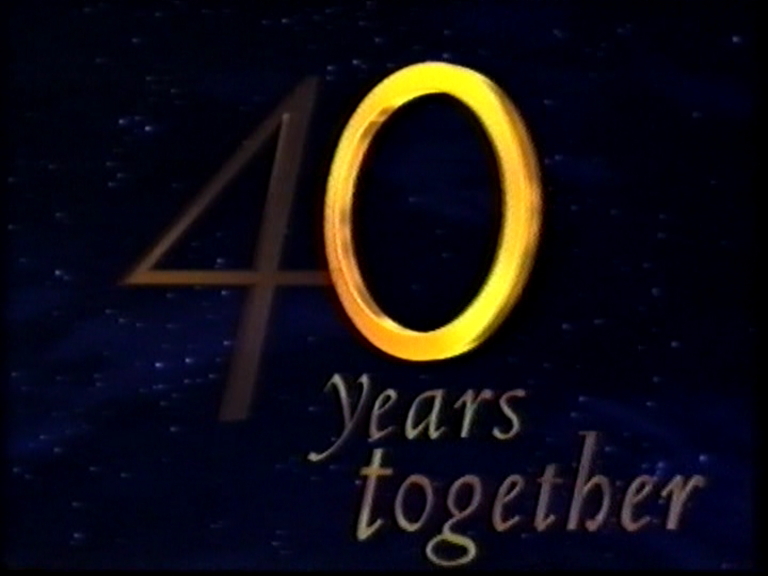 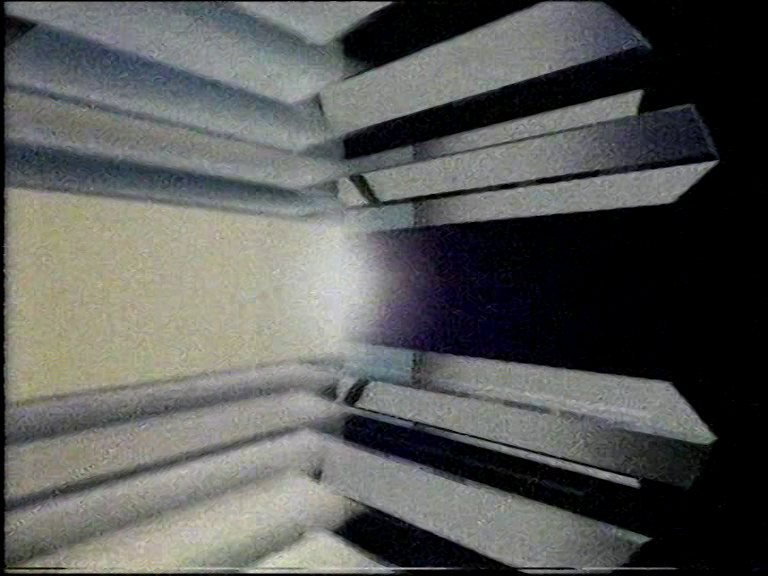 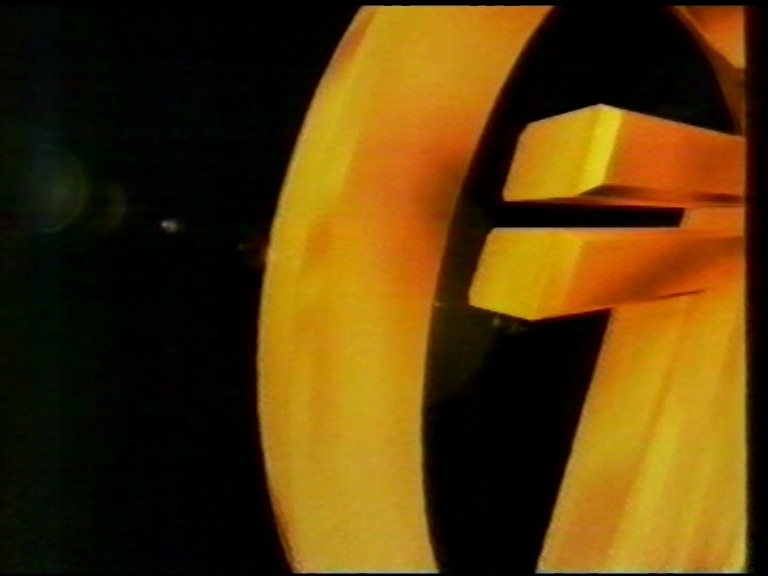 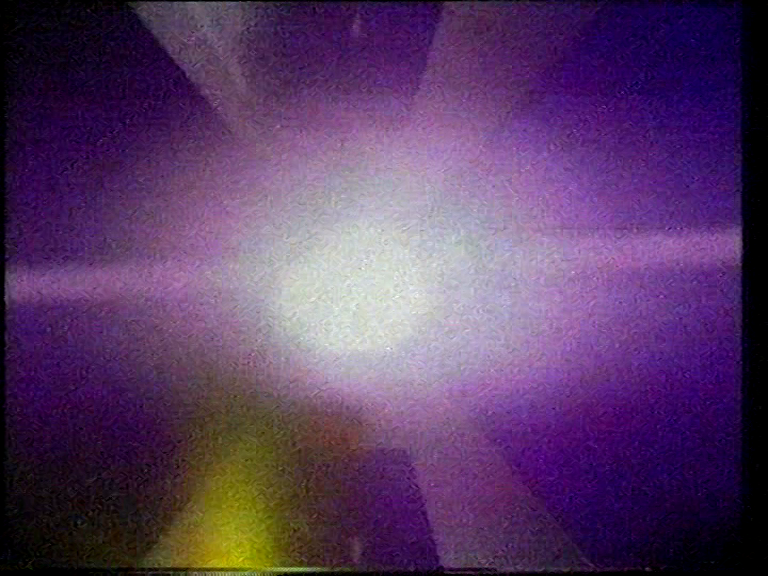 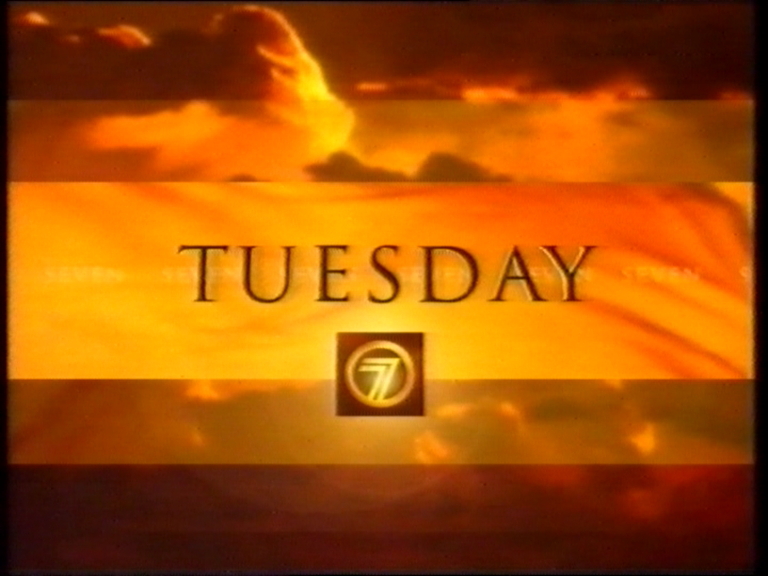 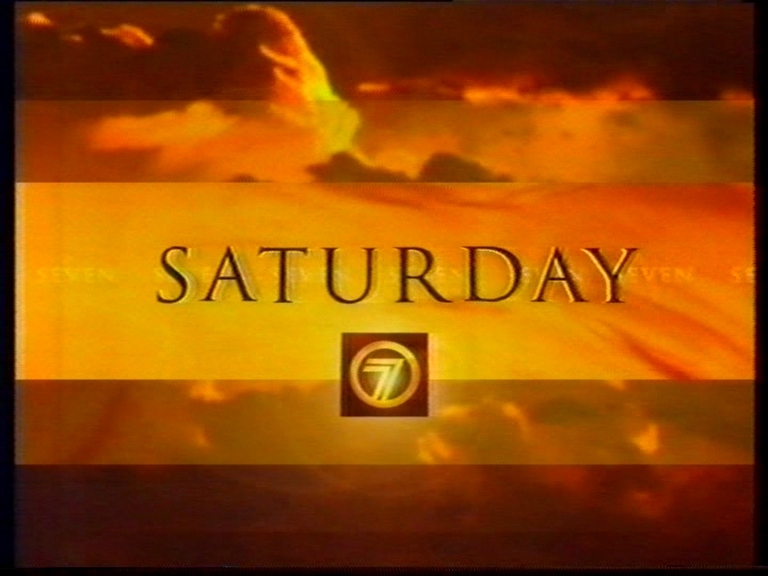 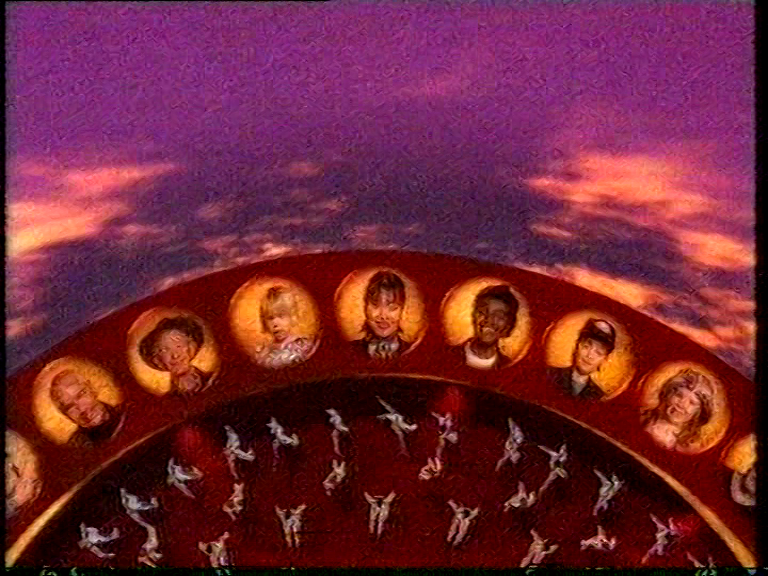 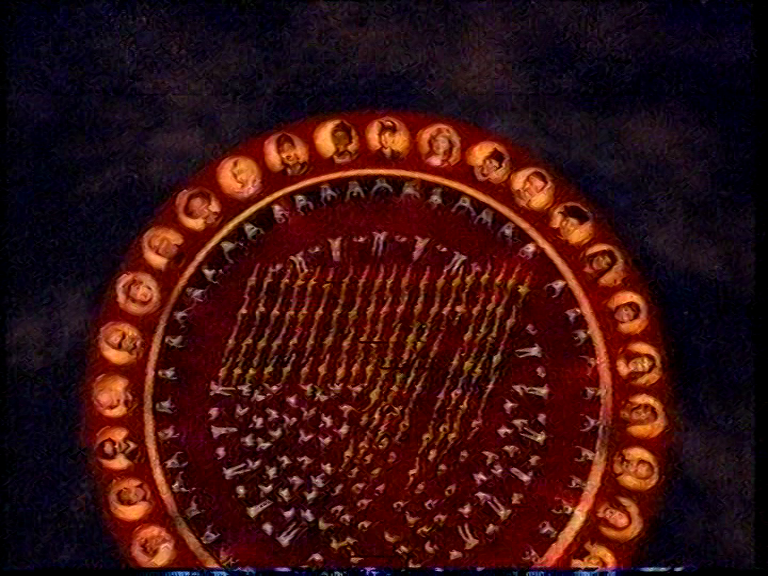 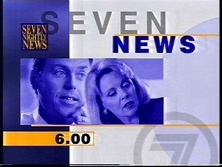 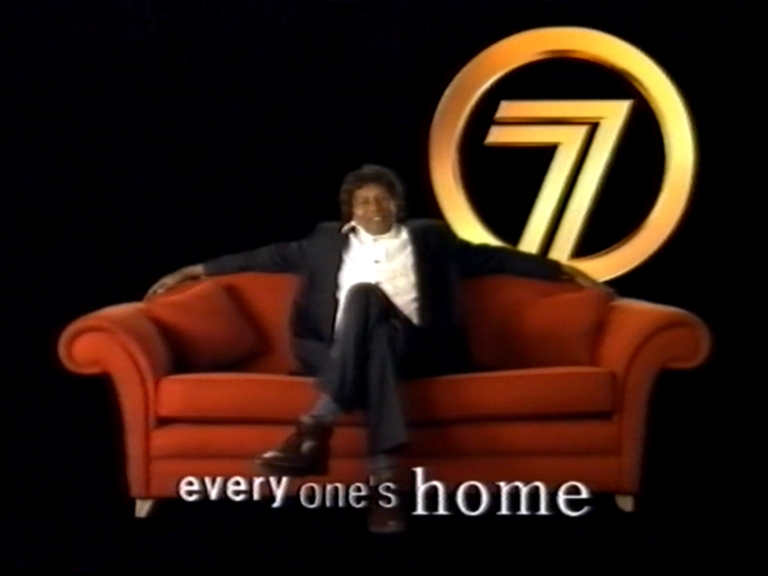 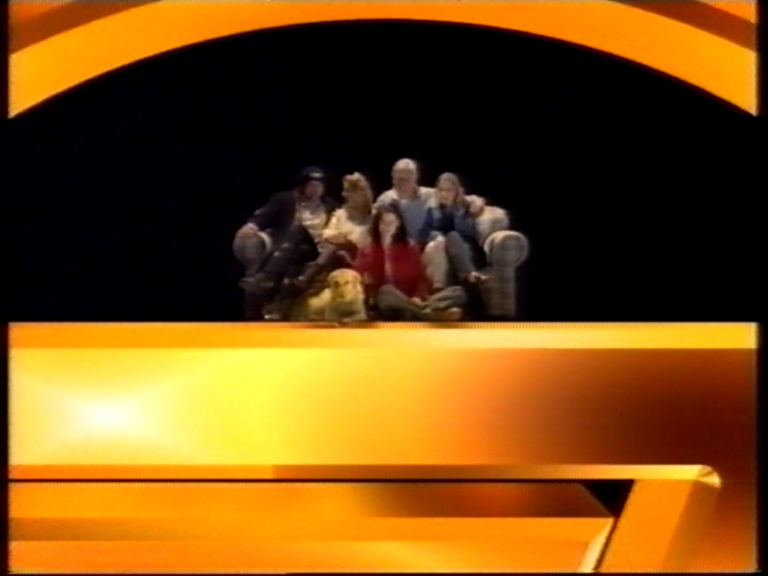 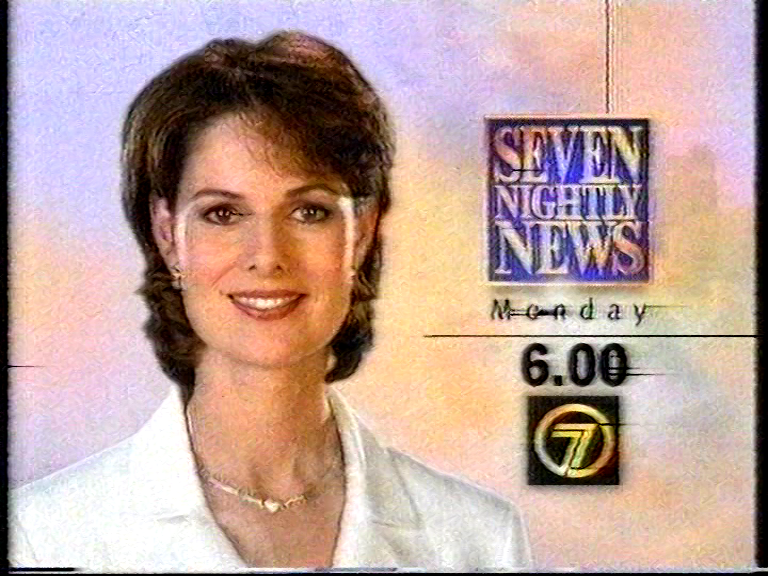 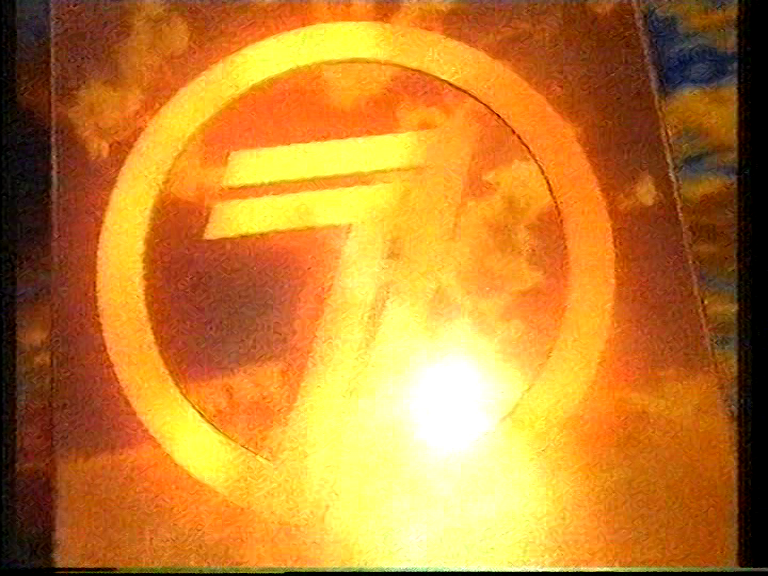 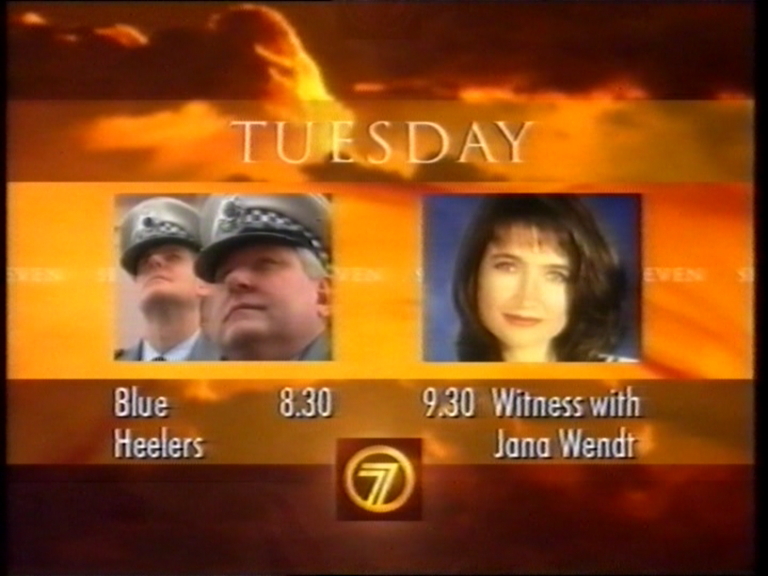 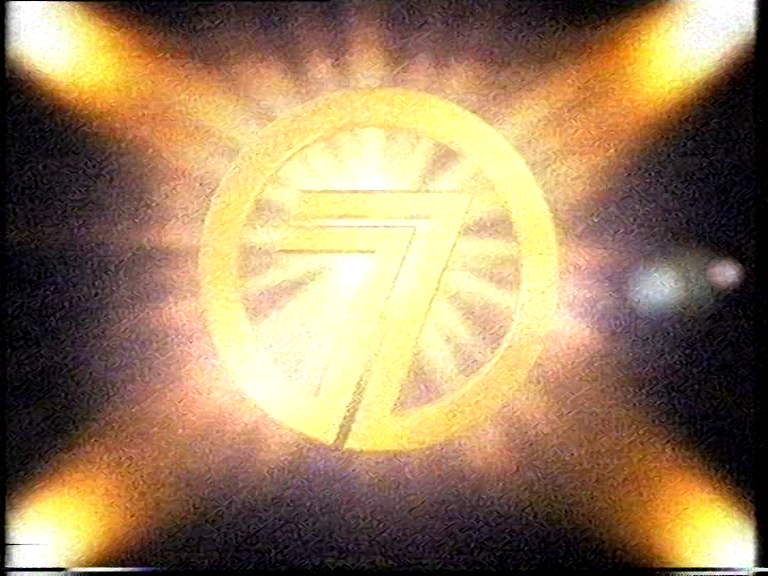 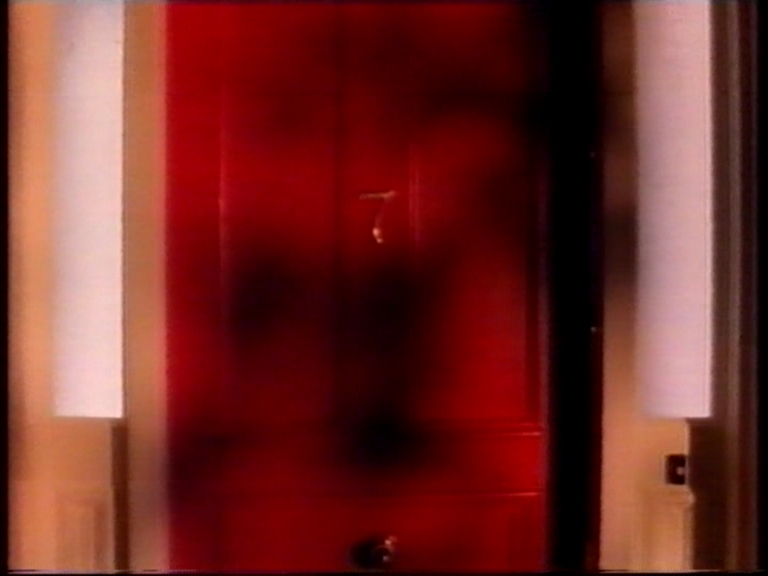 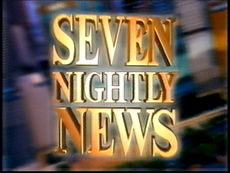 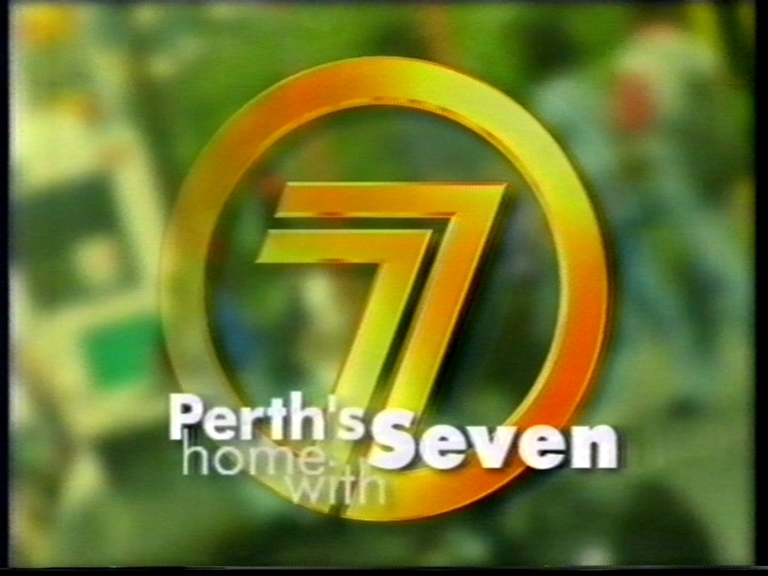 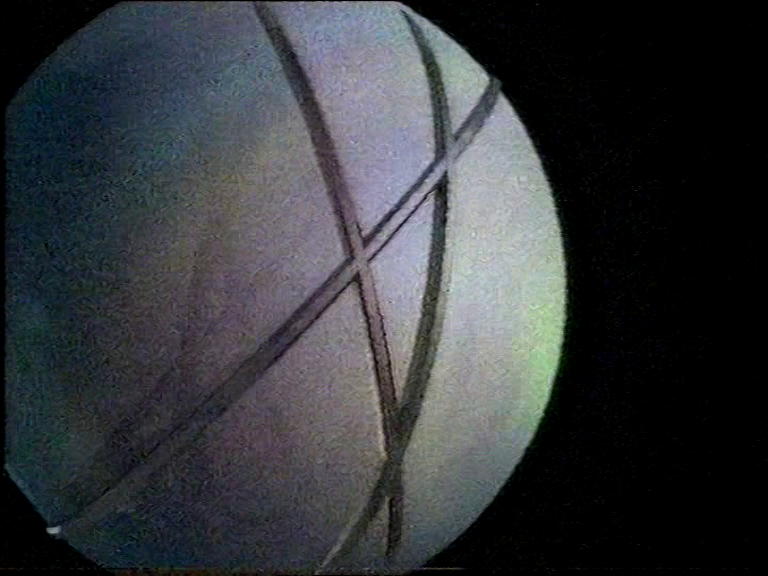 The “Everyone’s Home with Seven” era which was a popular jingle lasted until May 1999 with the launch of “The One to Watch” 1.0 and the introduction of the 5 colours. 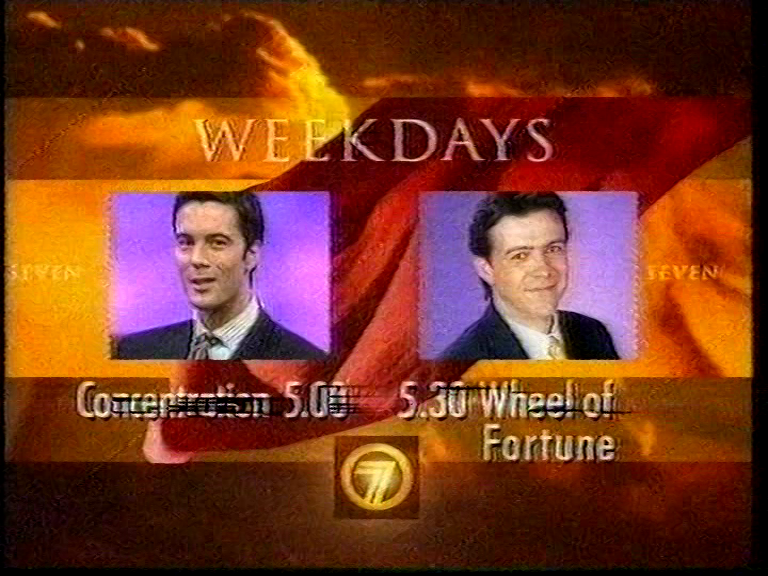 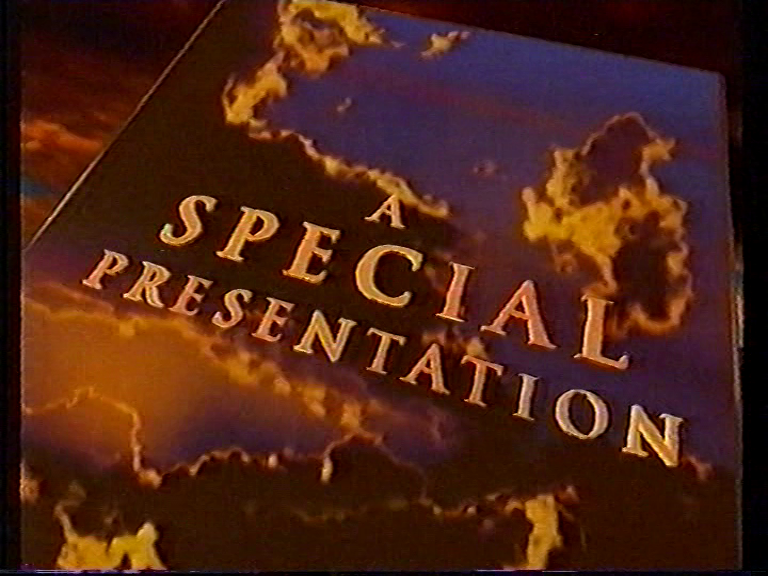 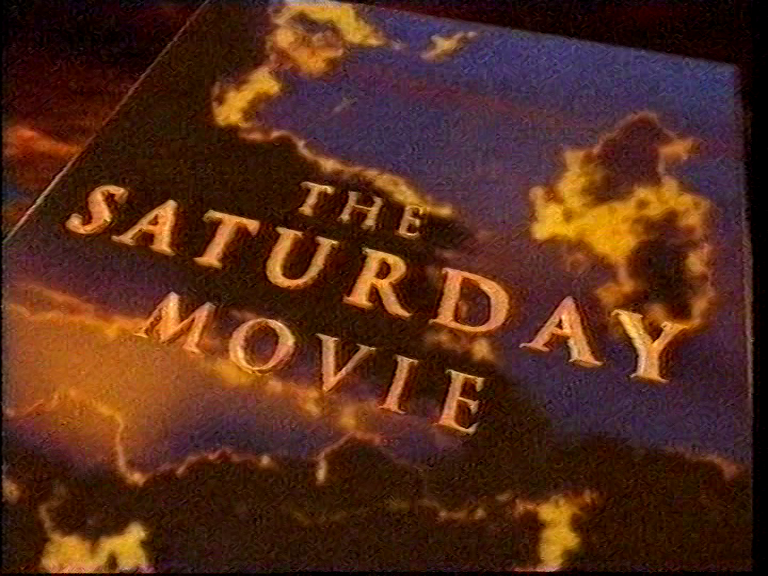 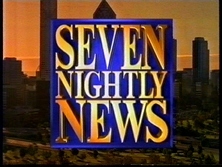 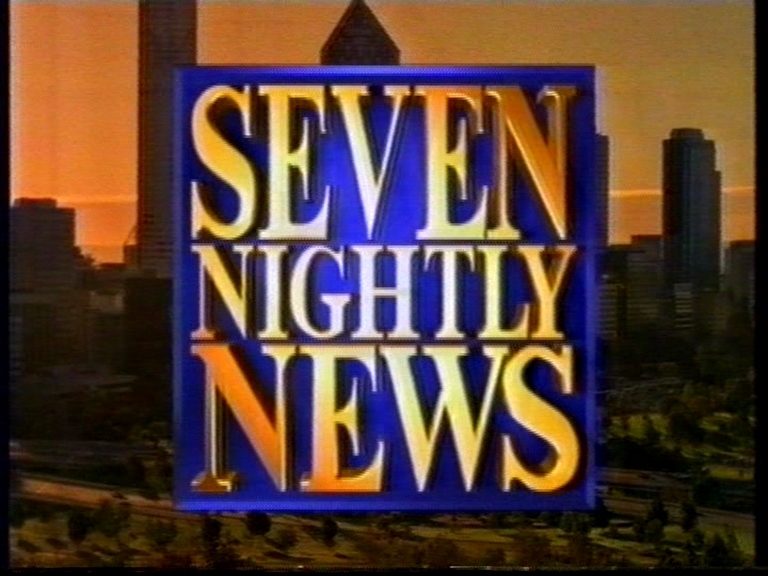 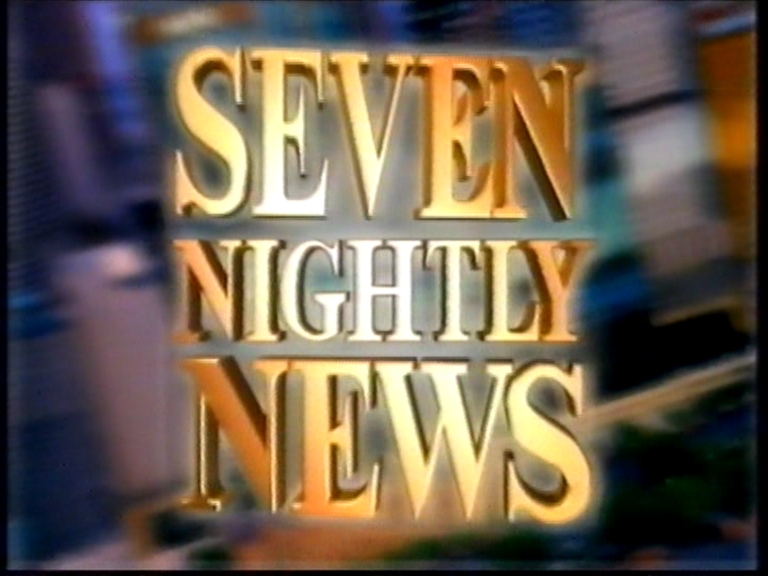 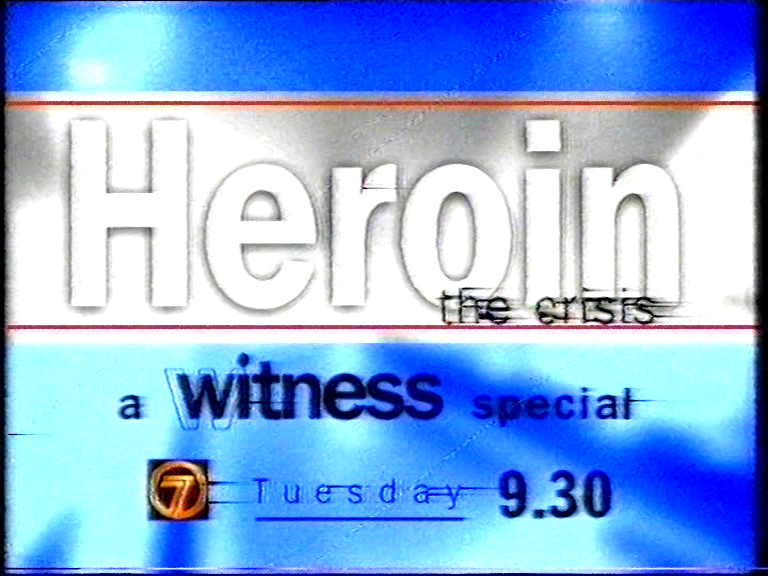 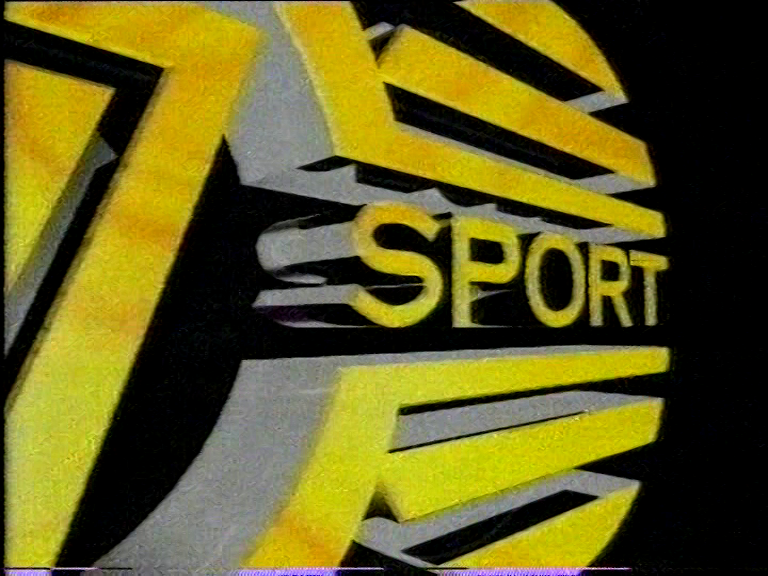 One of the better on air presentations in the 90s.